With the aim of creating a collaborative working space for image sector practitioners, we opened our doors to 365 practitioners from 6th until 31st March 2018. 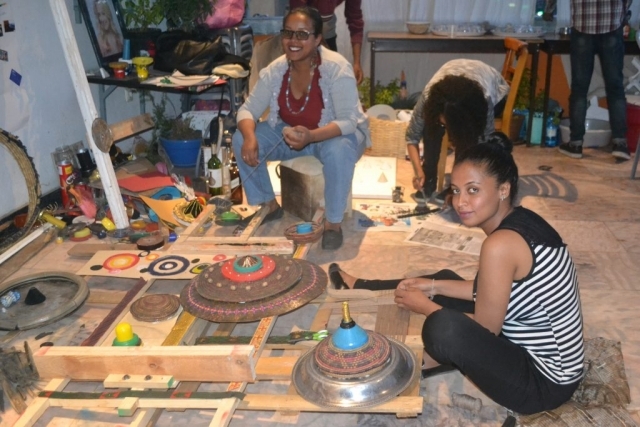 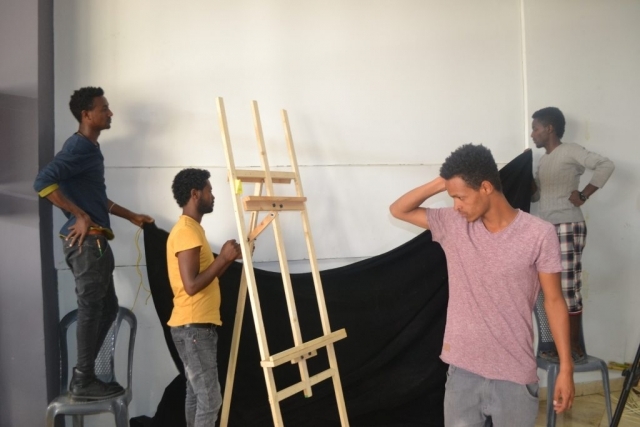 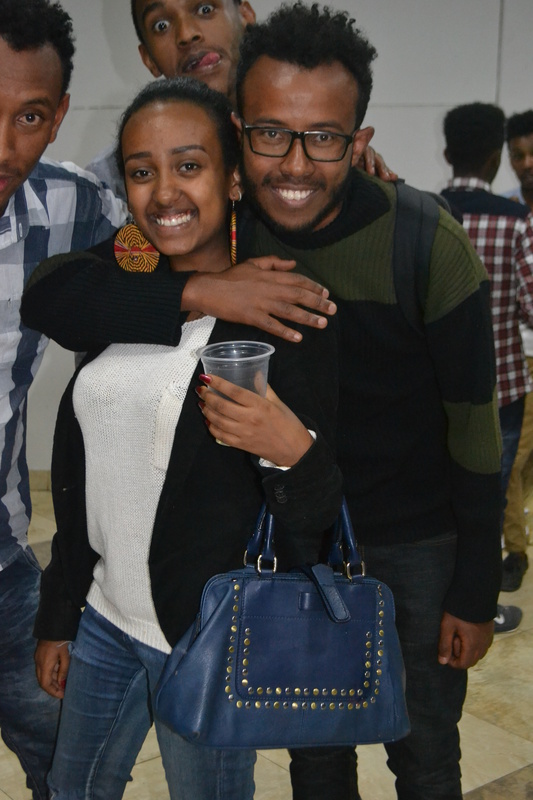 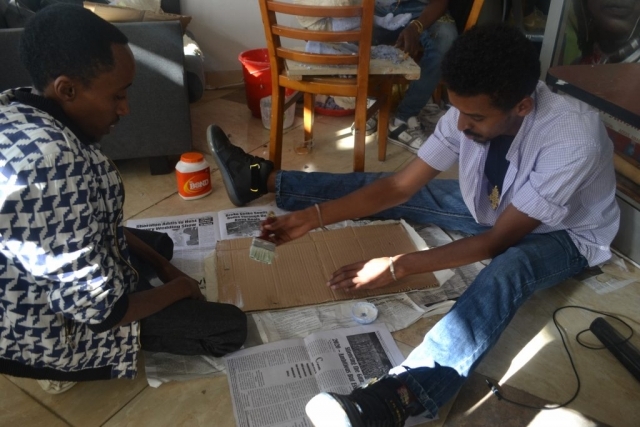 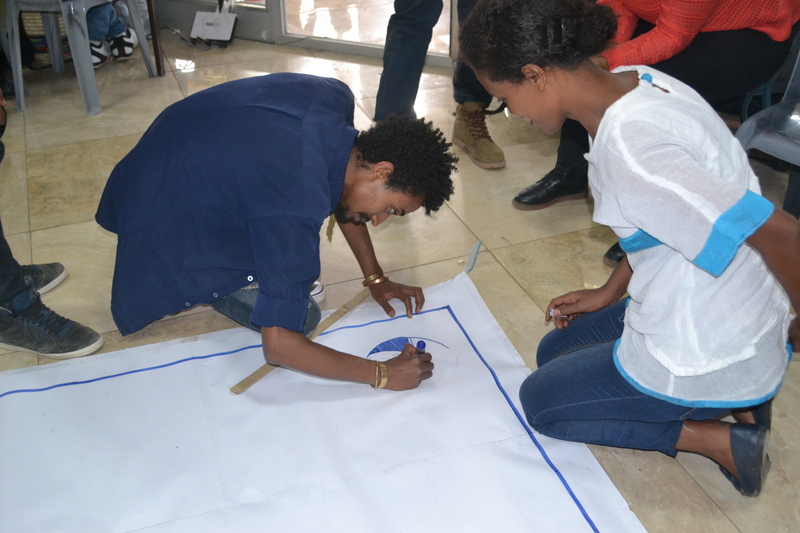 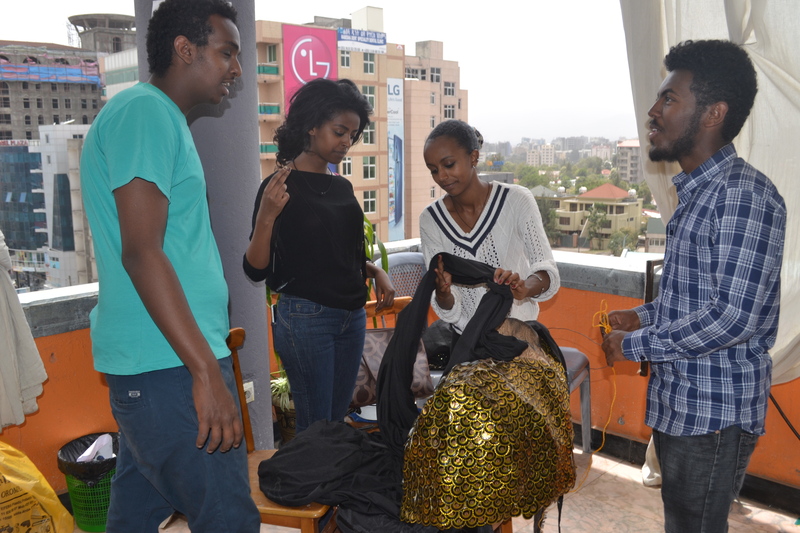 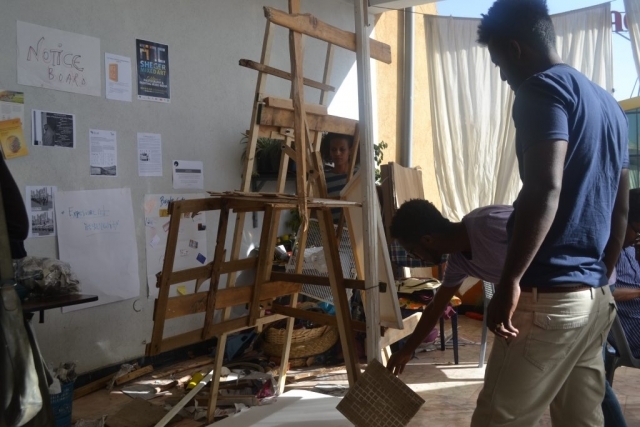 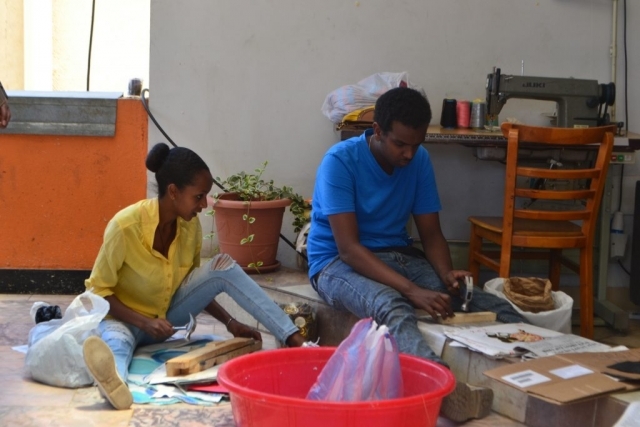 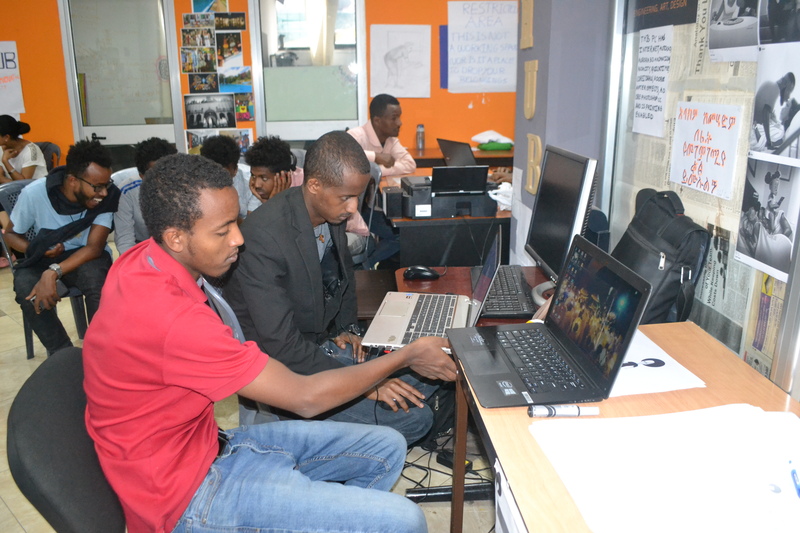 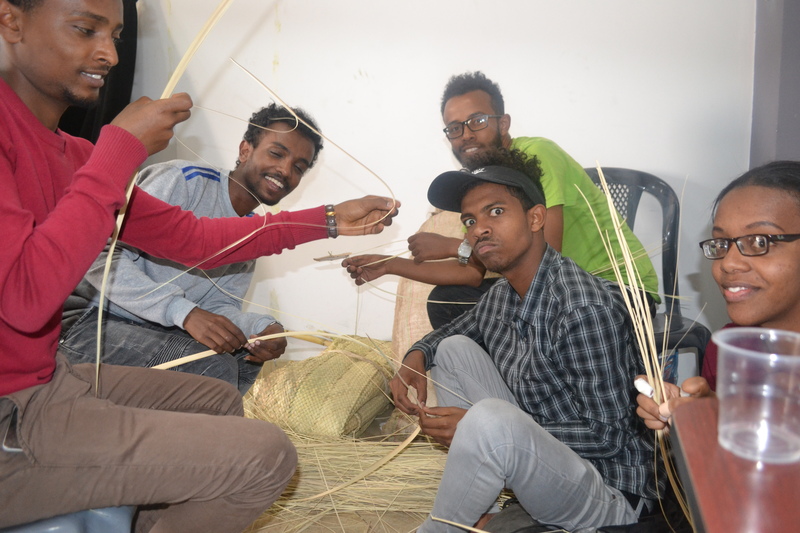 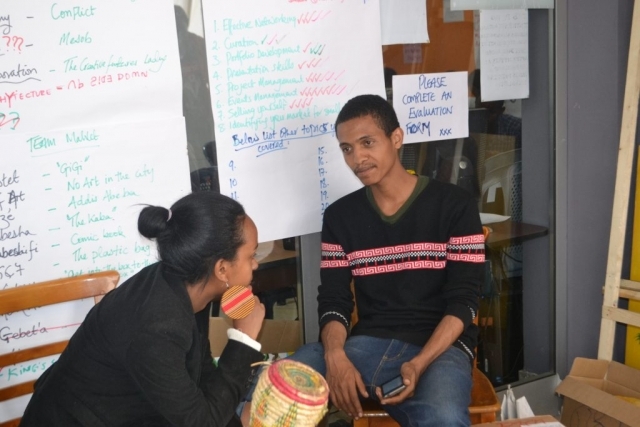 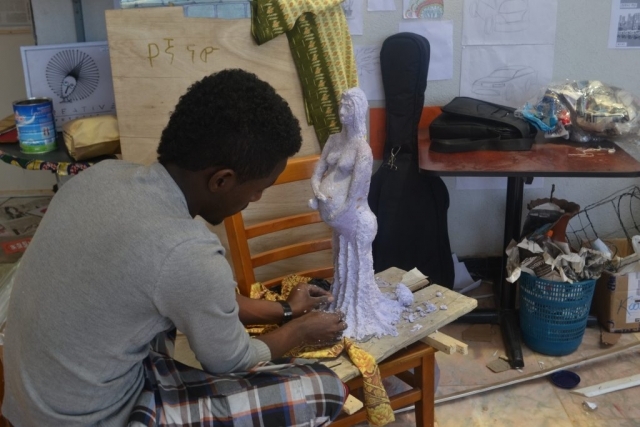 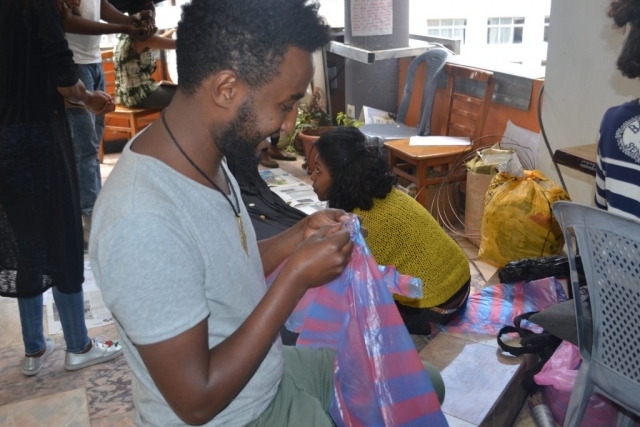 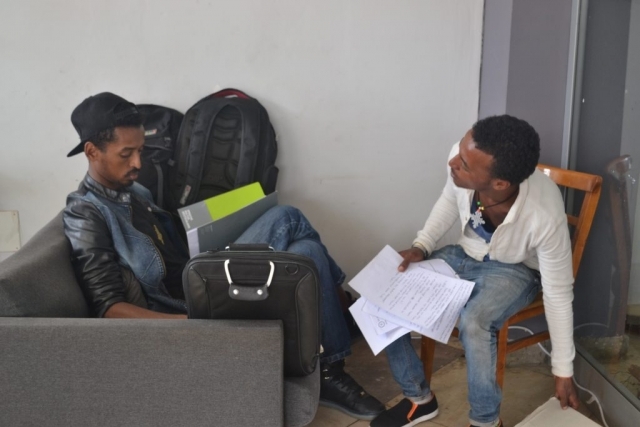 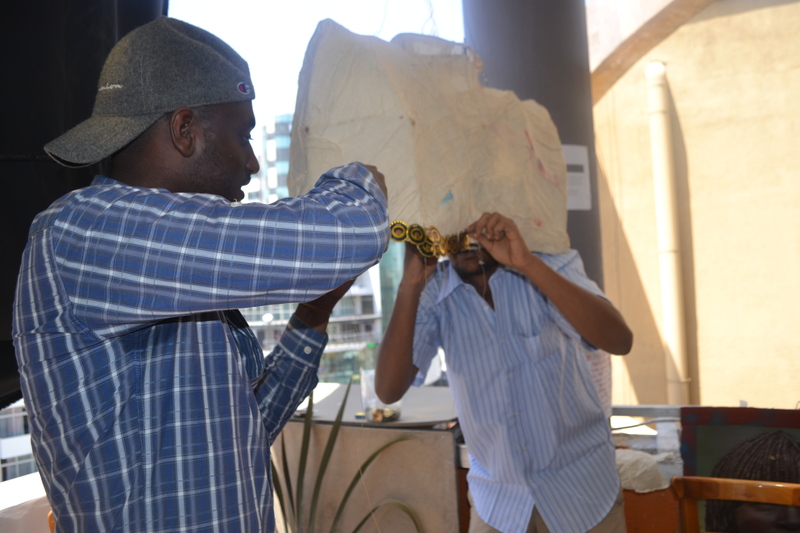 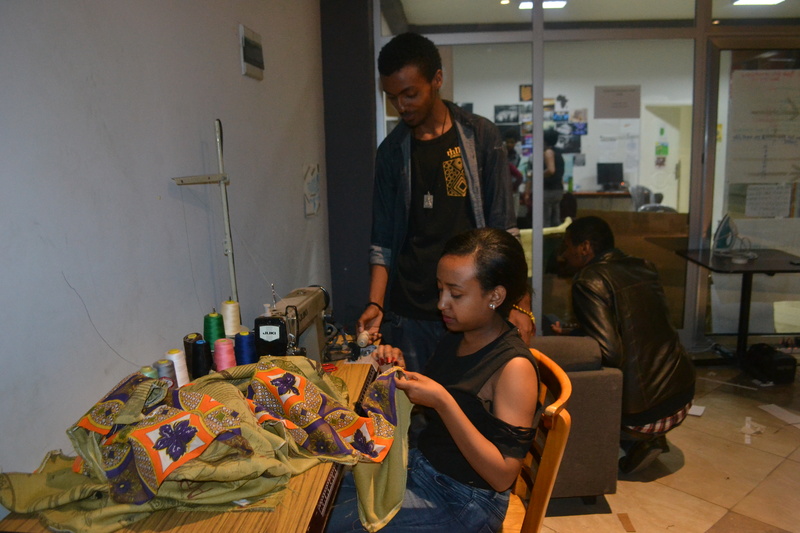 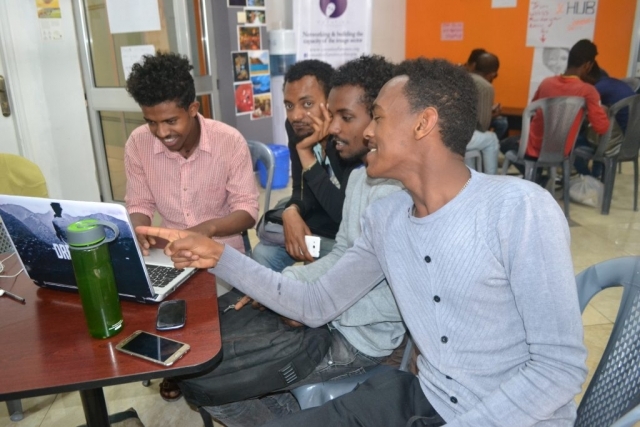 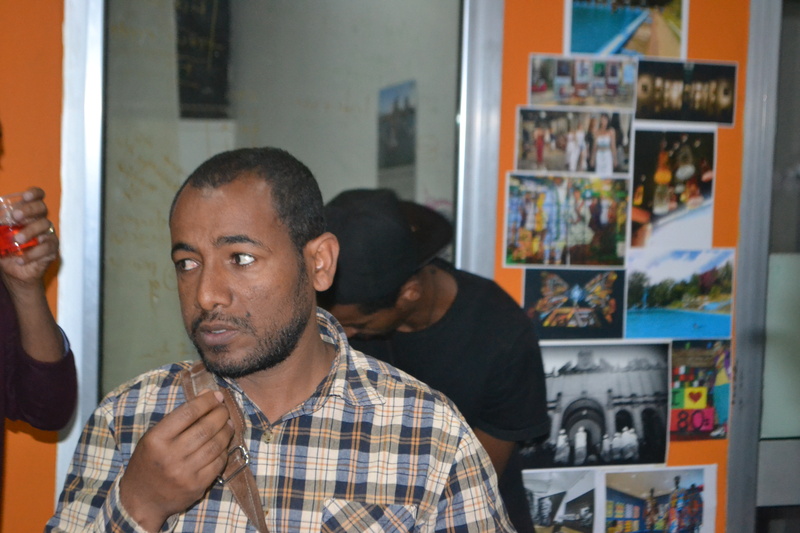 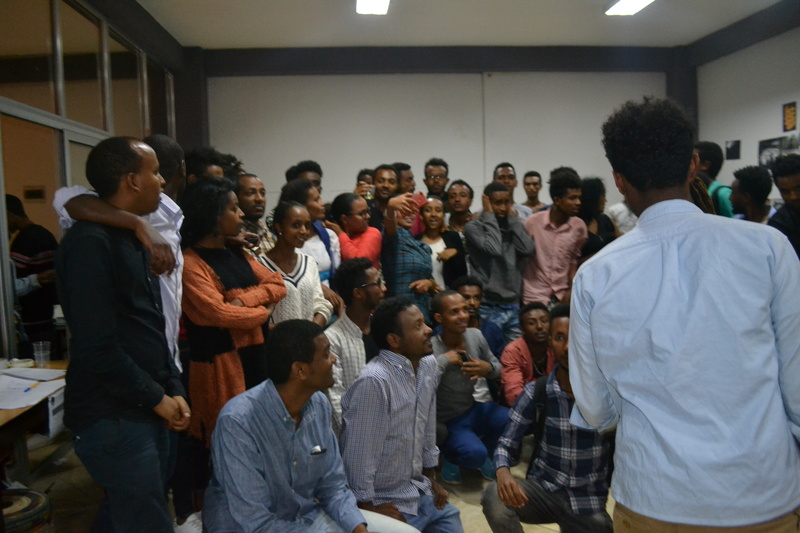 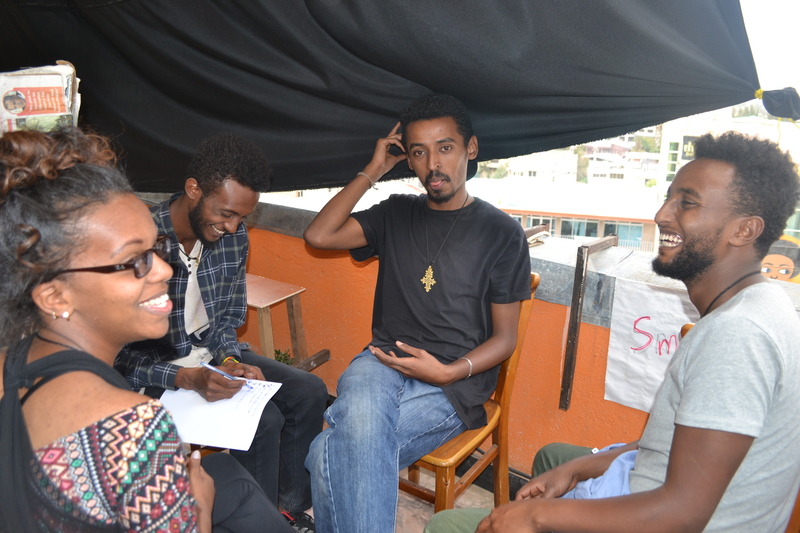 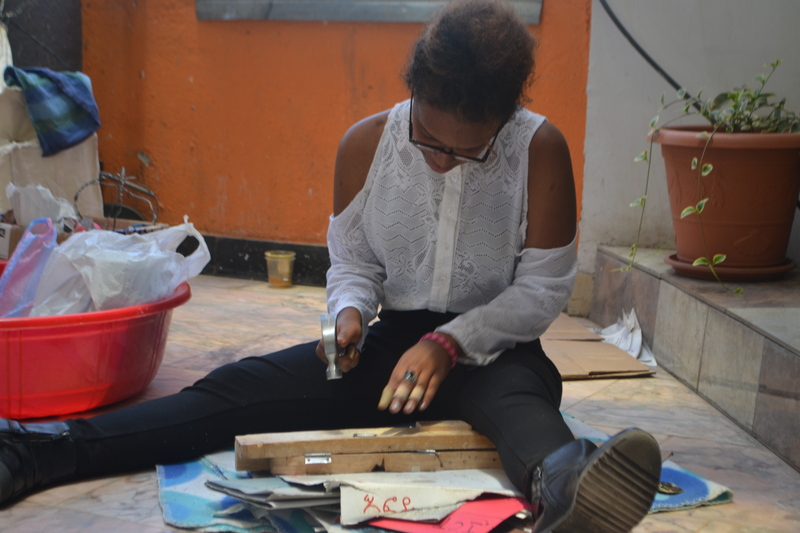 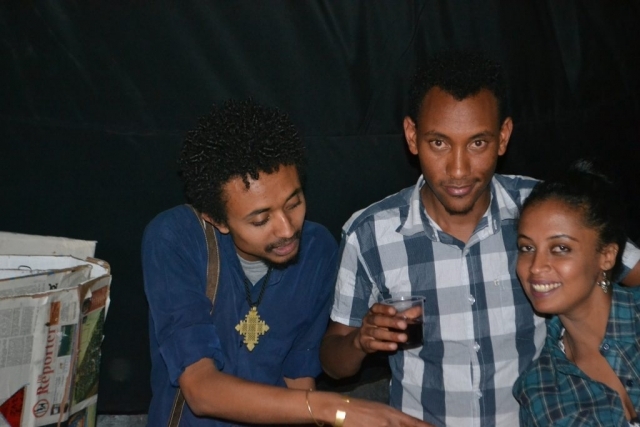 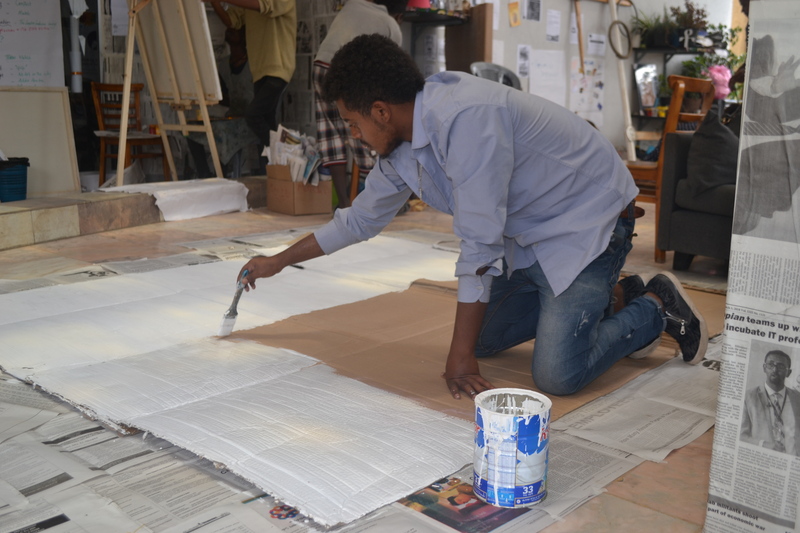 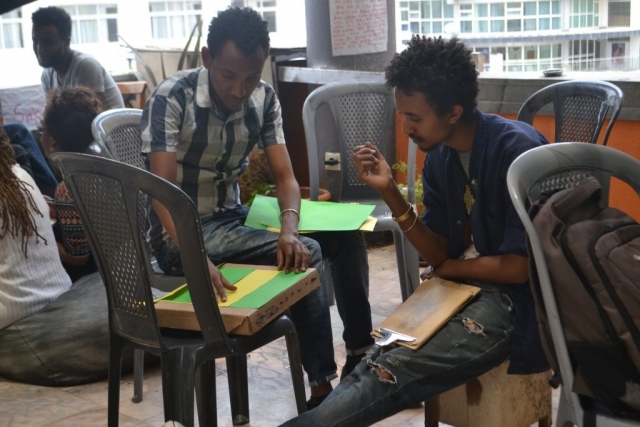 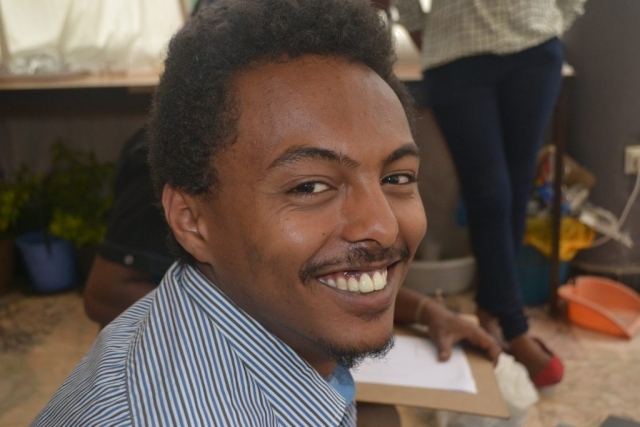 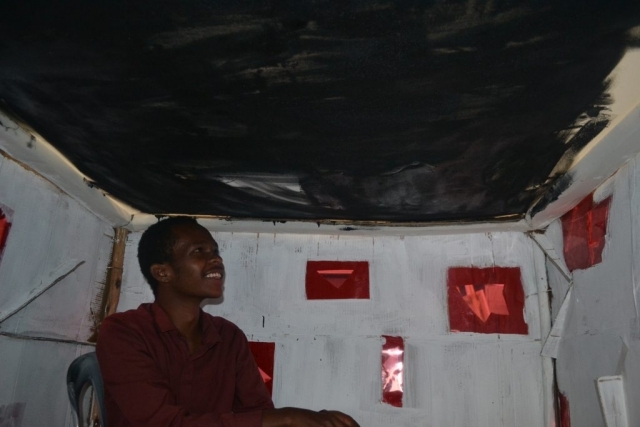 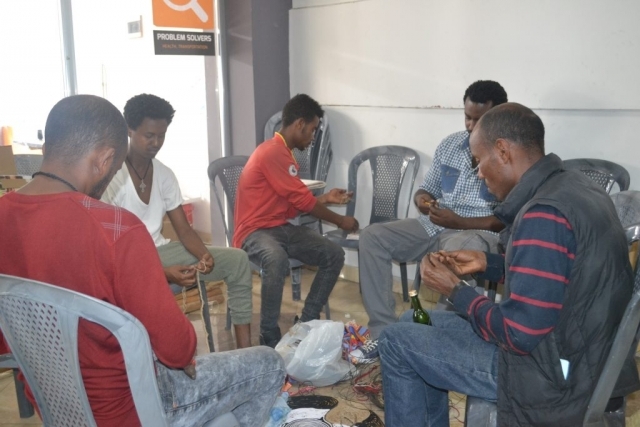 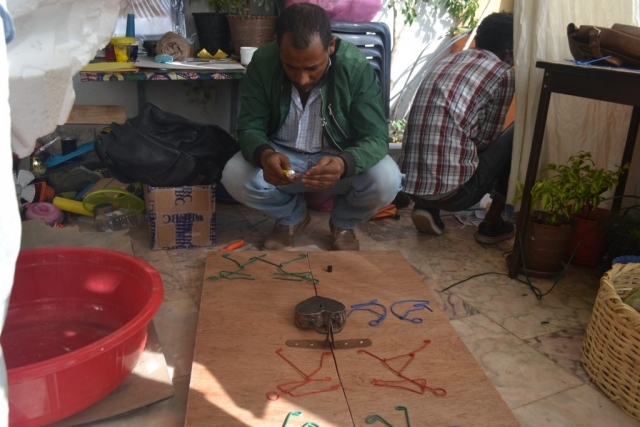 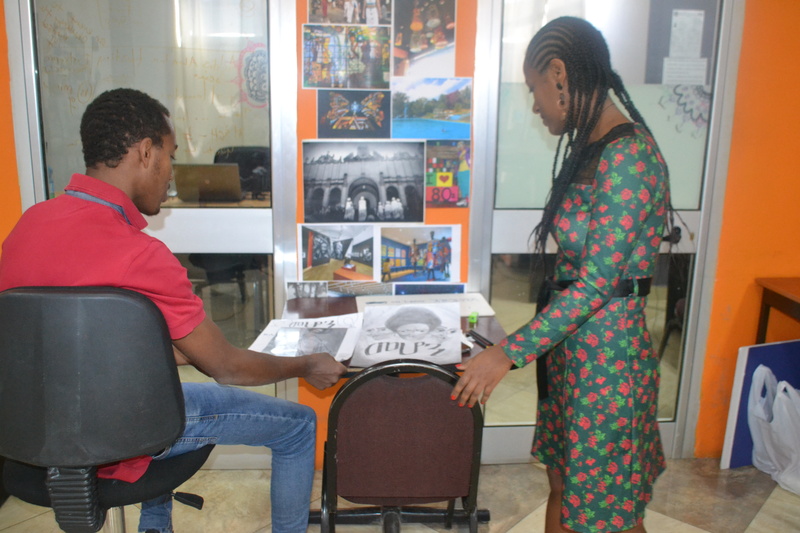 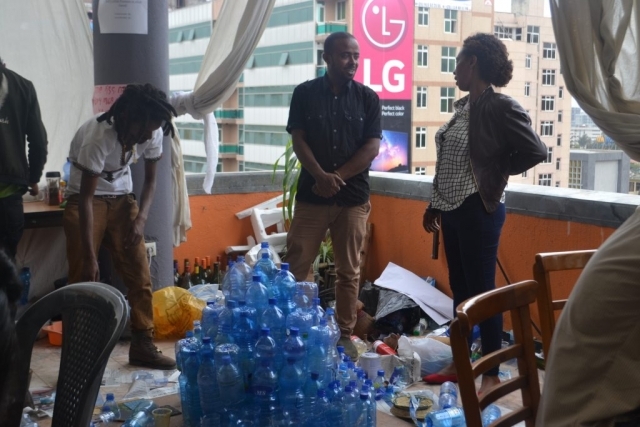 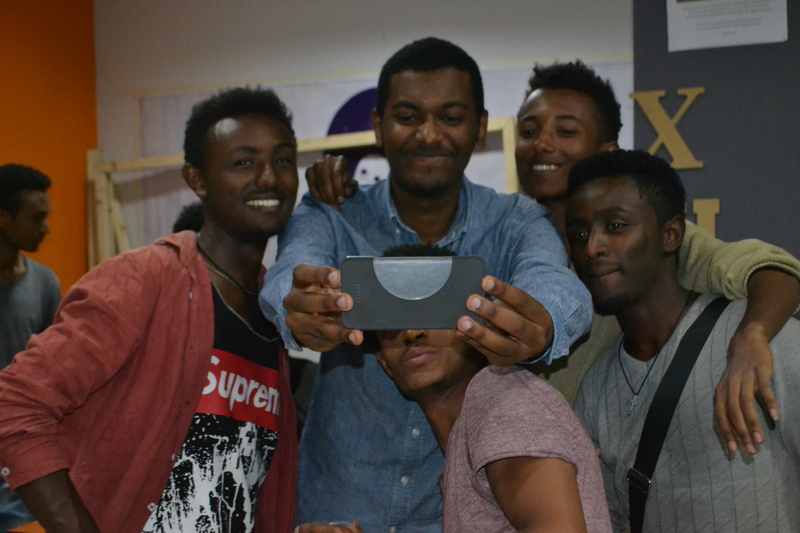 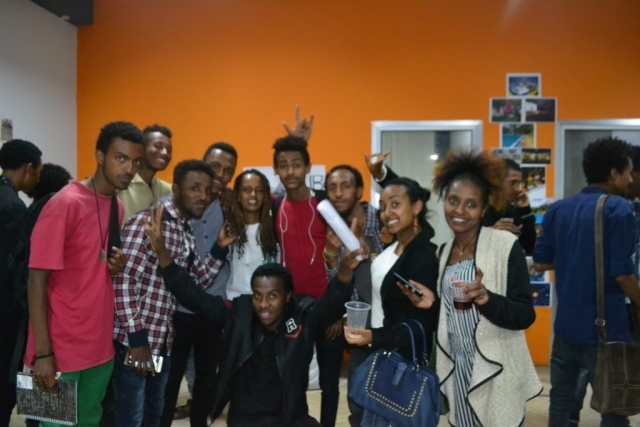 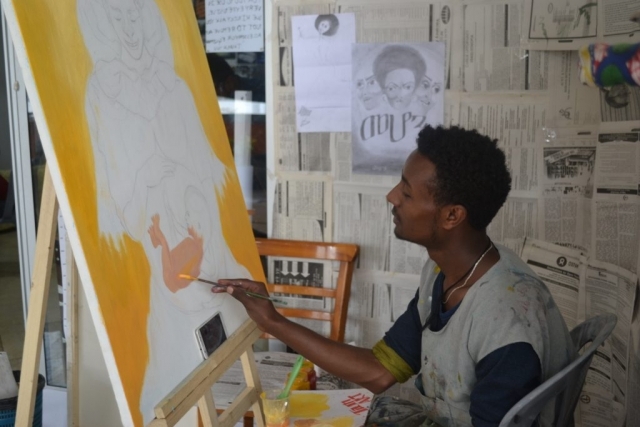 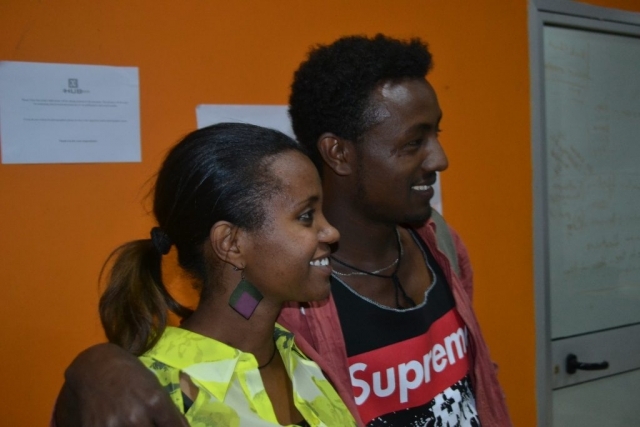 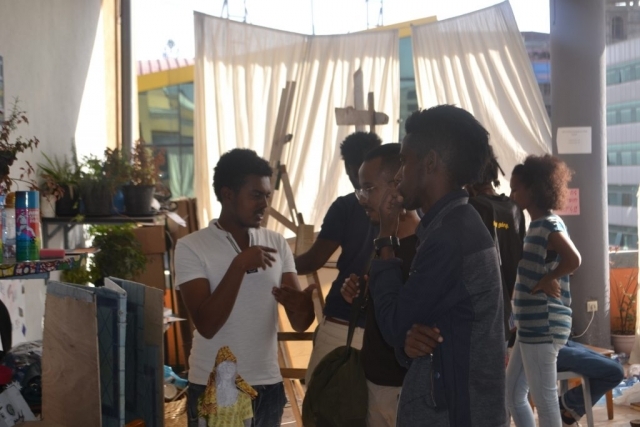 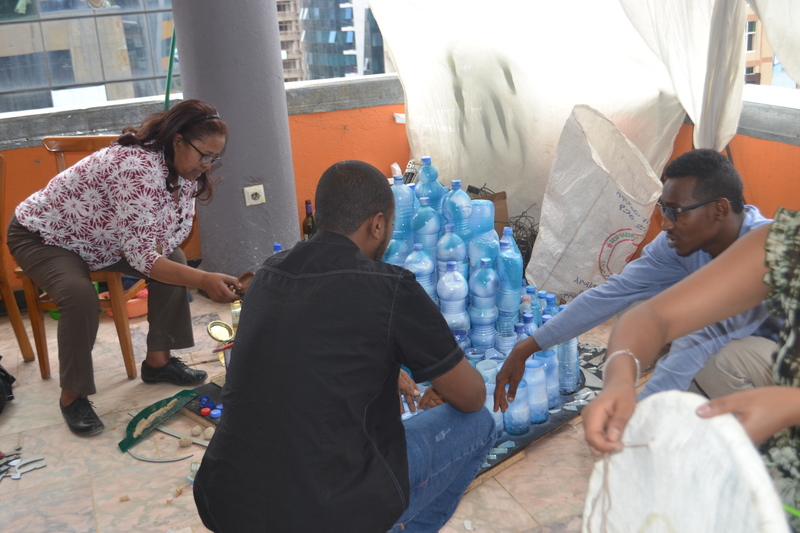 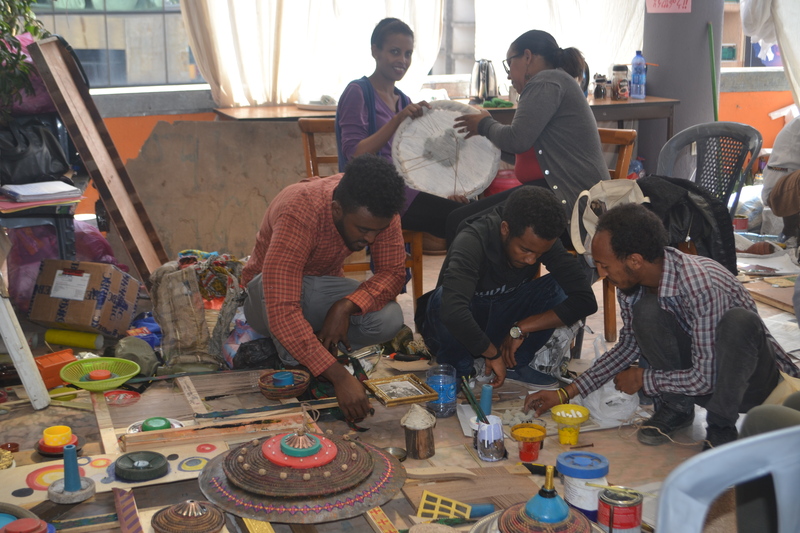 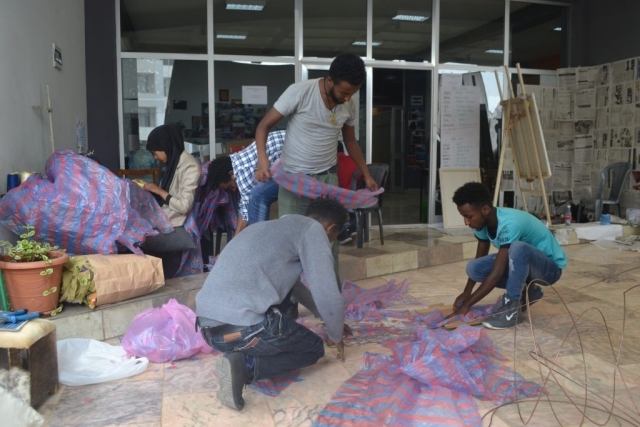 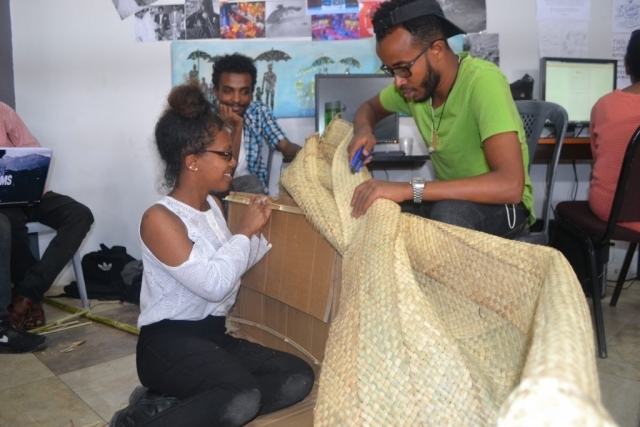 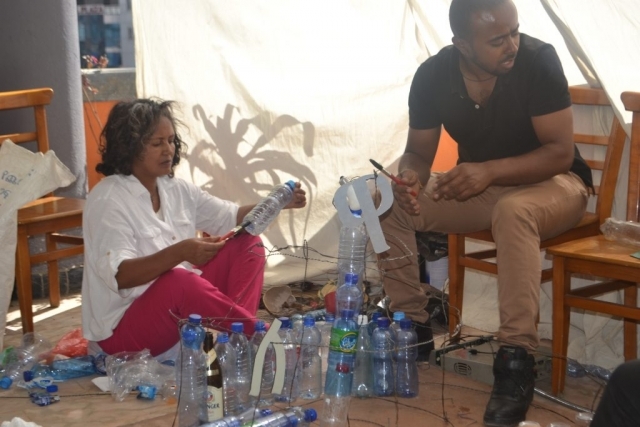 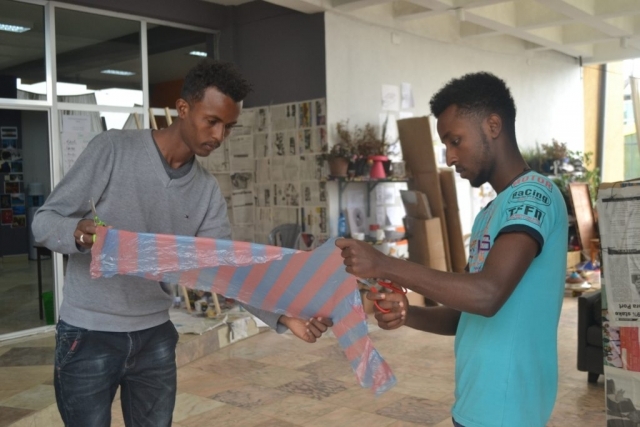 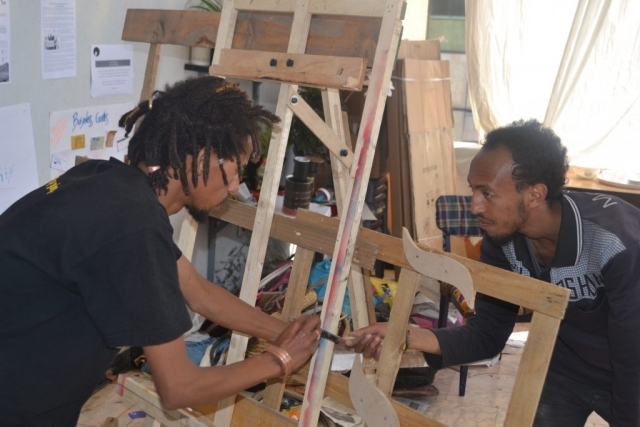 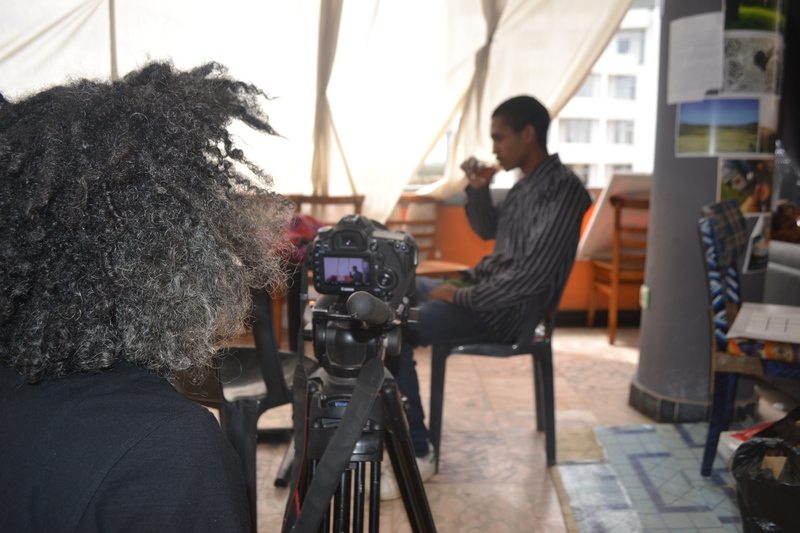 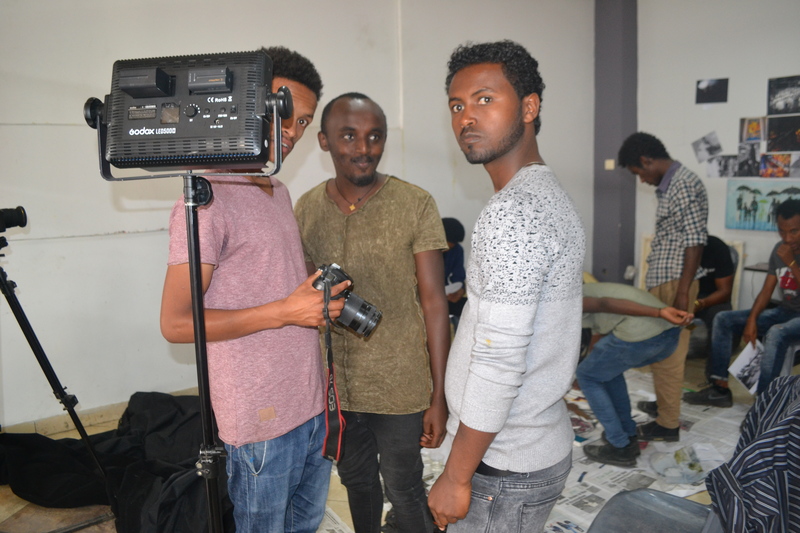 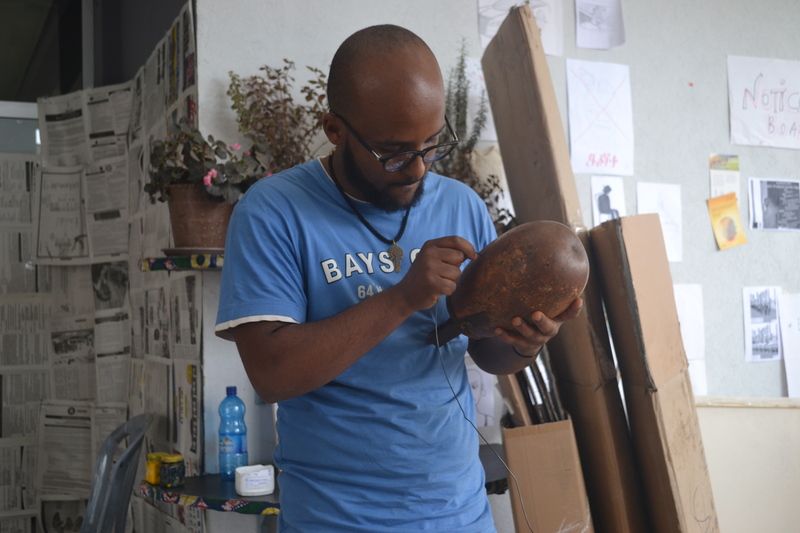 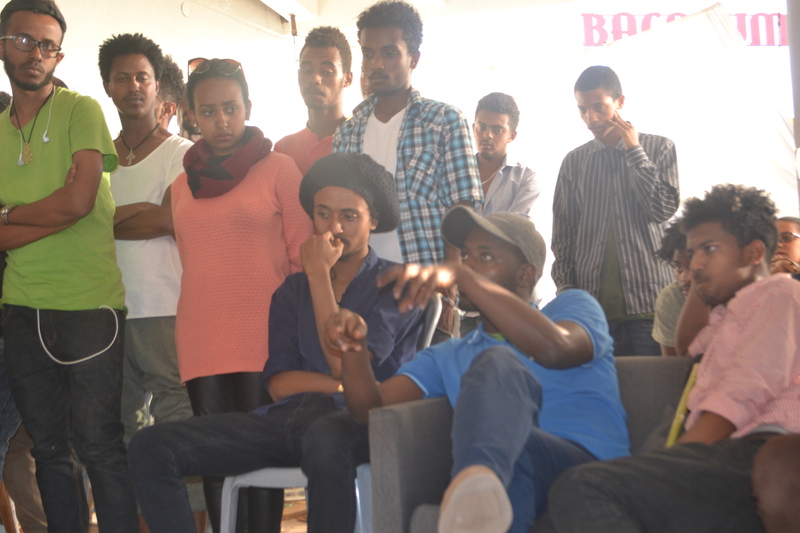 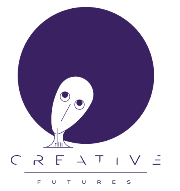 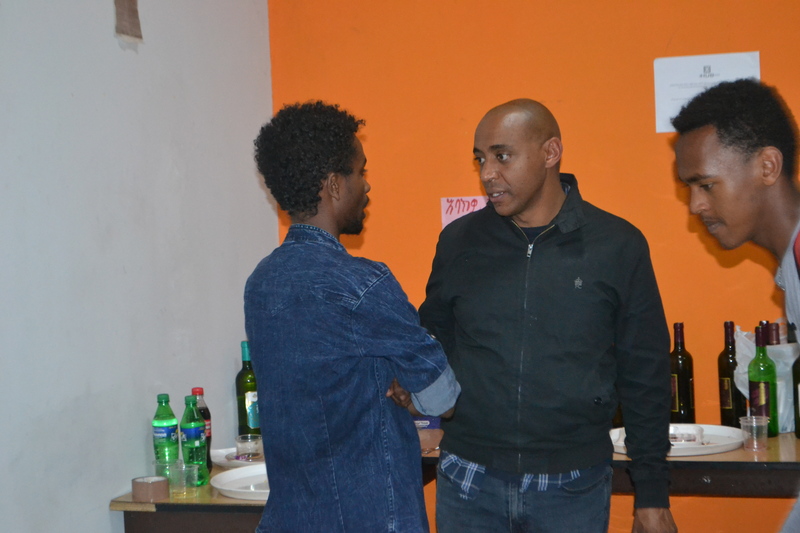 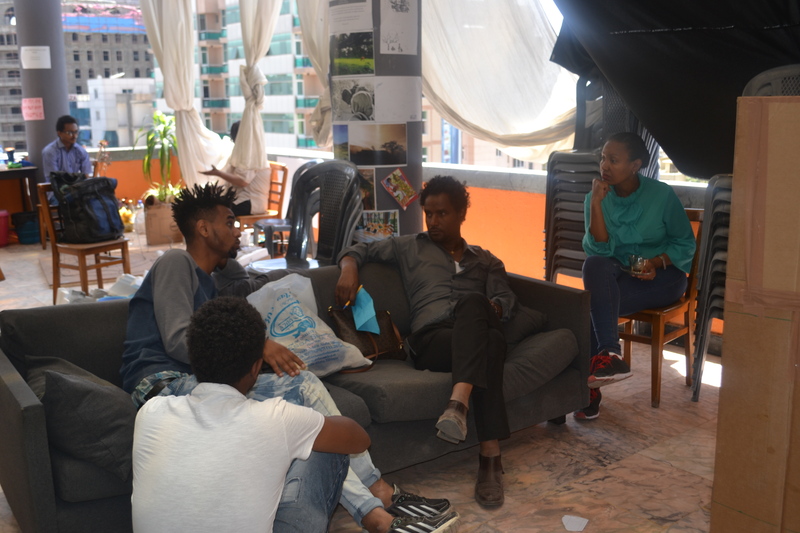 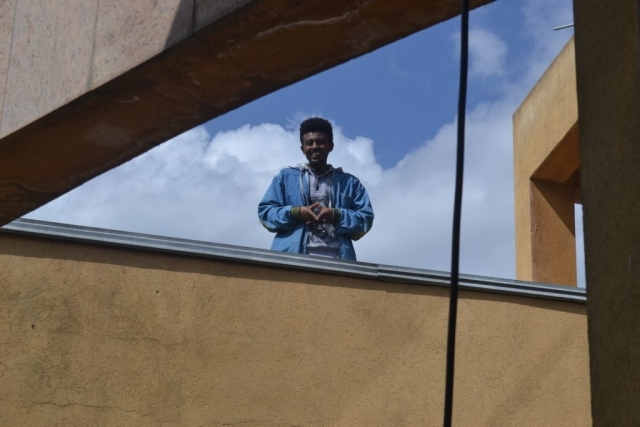 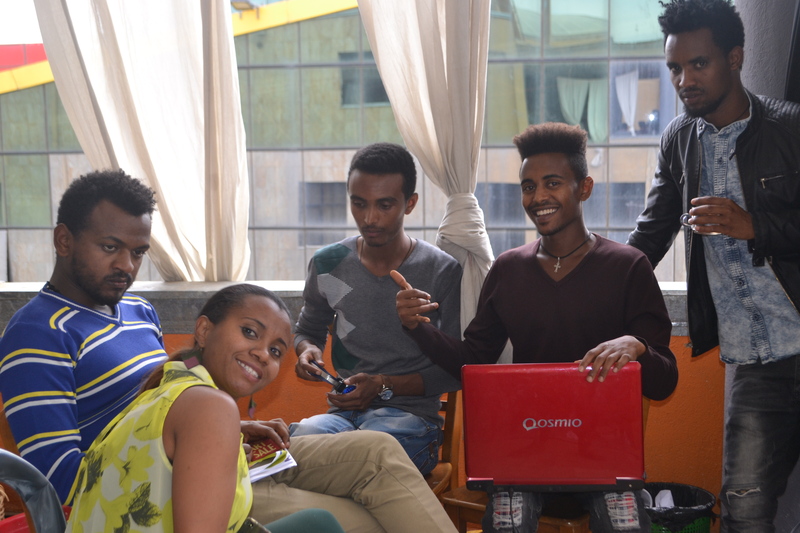 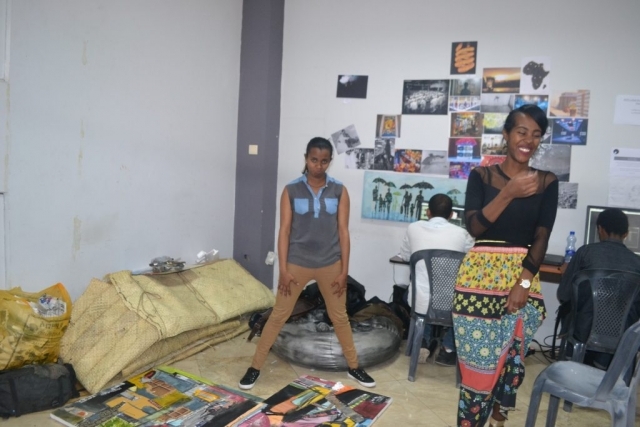 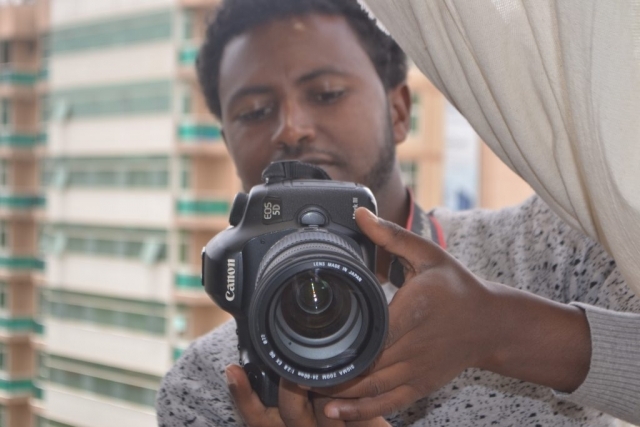 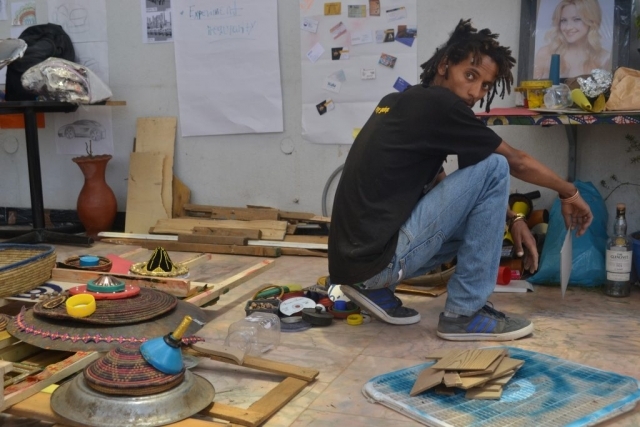 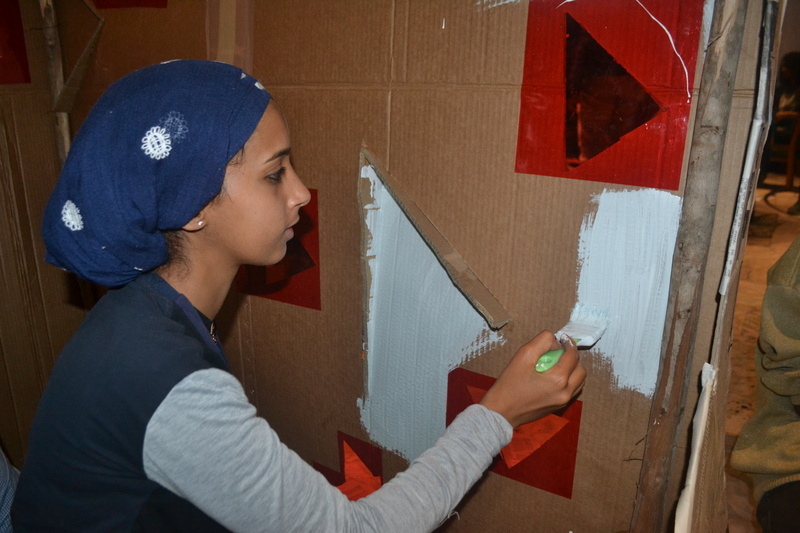 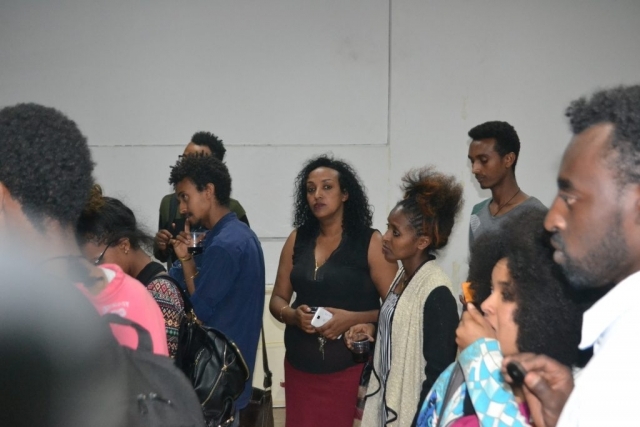 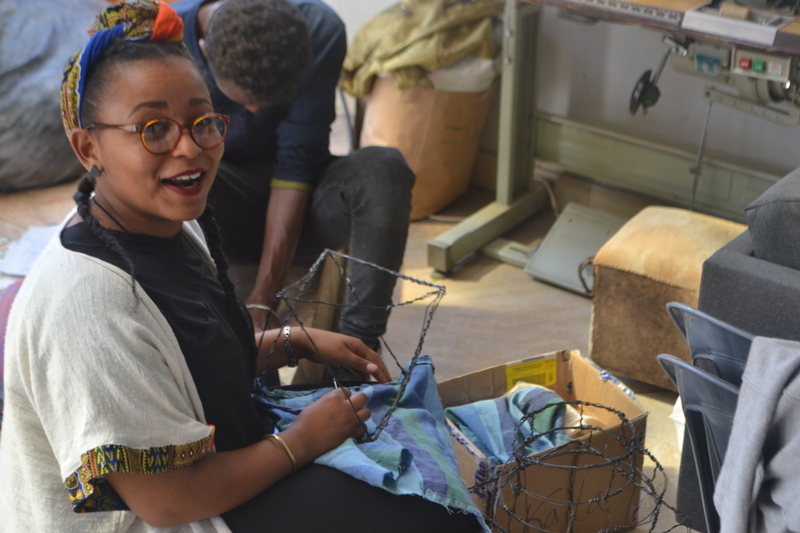 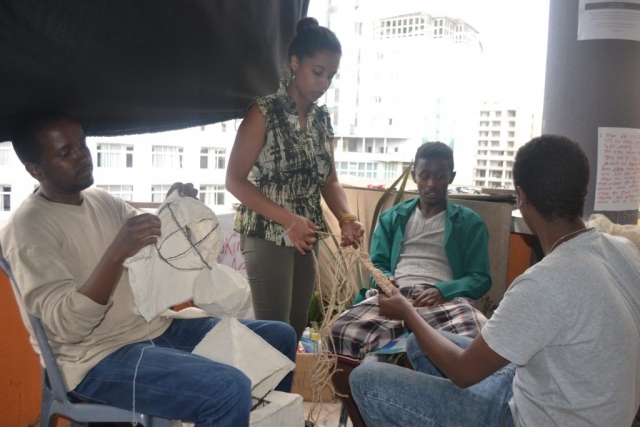 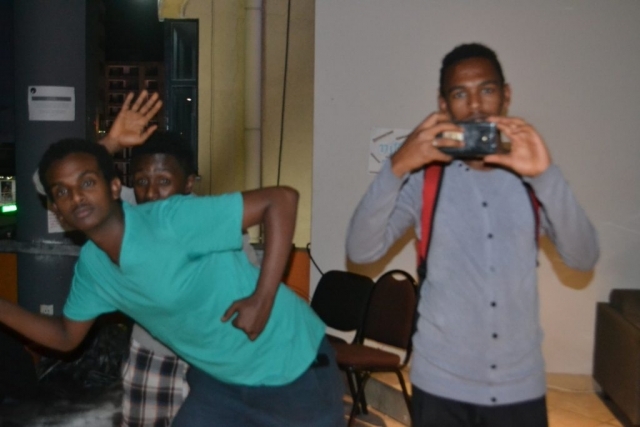 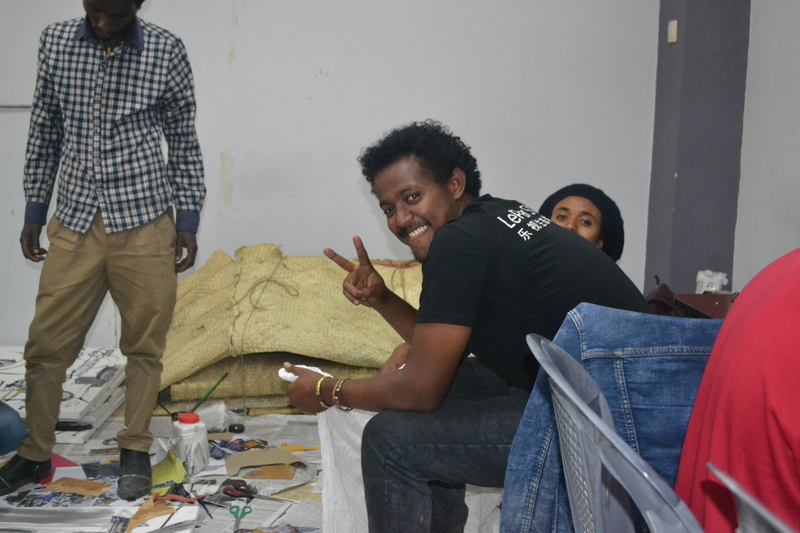 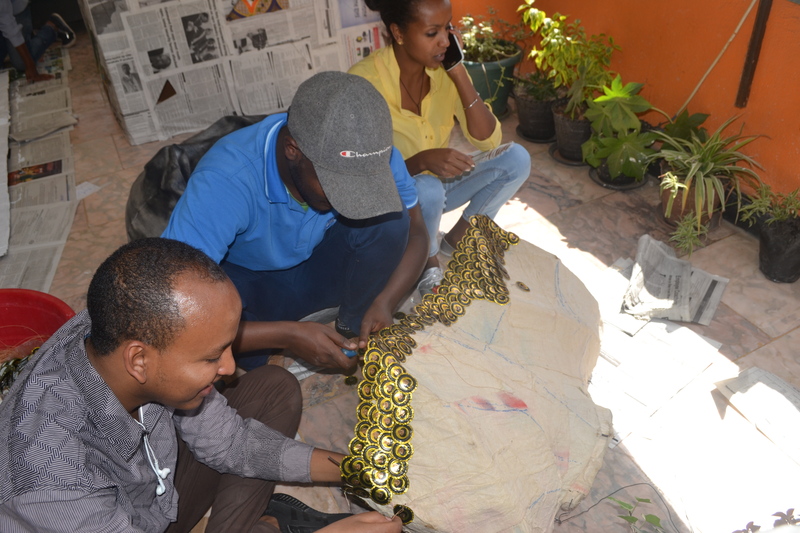 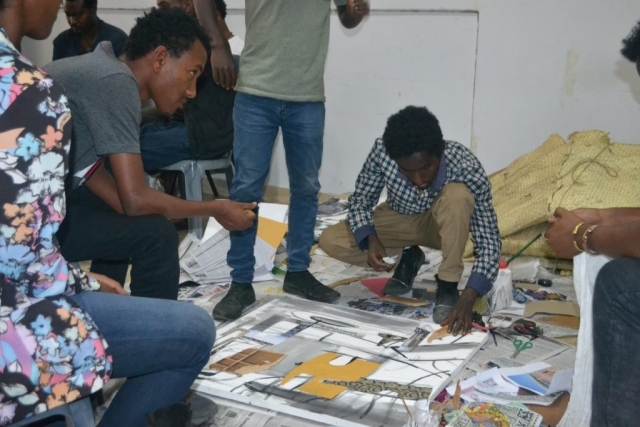 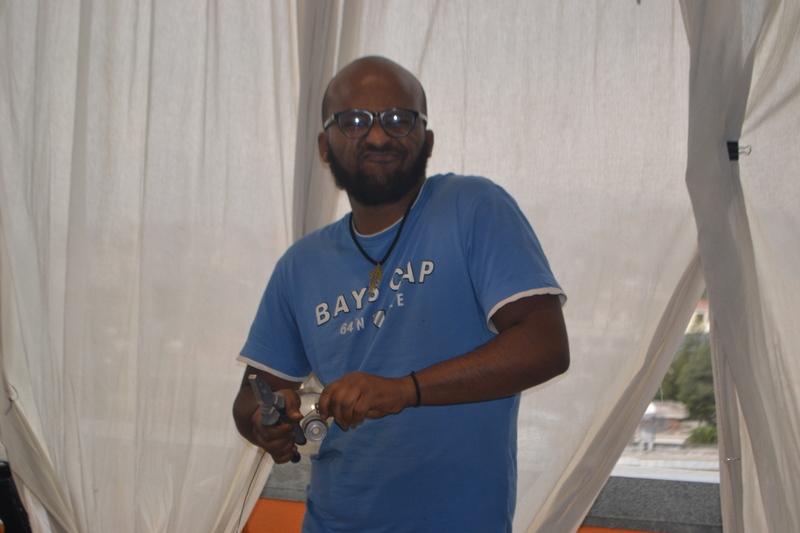 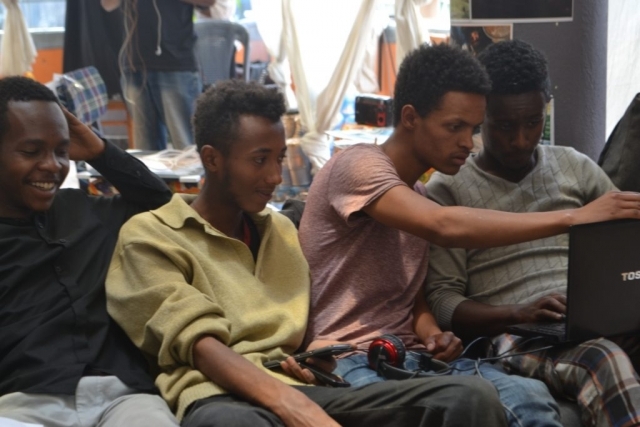 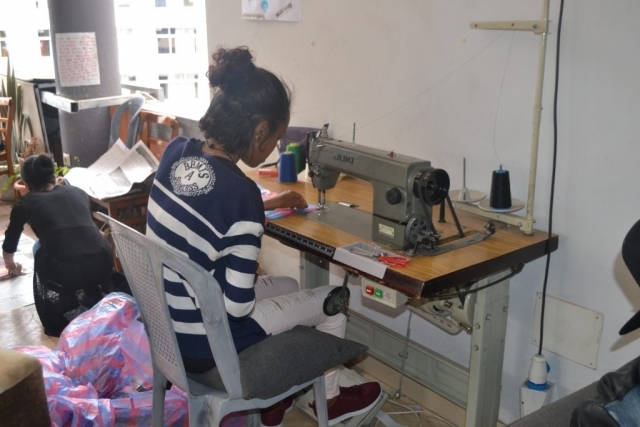 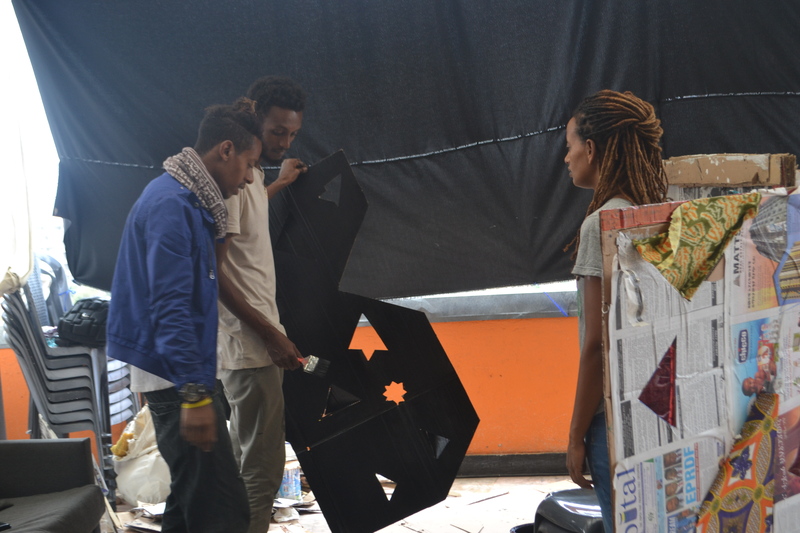 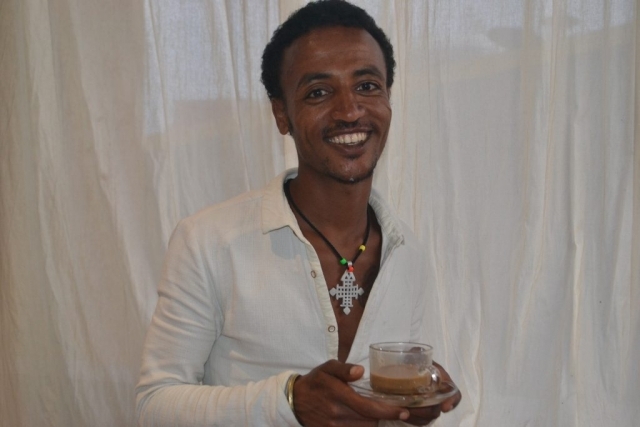 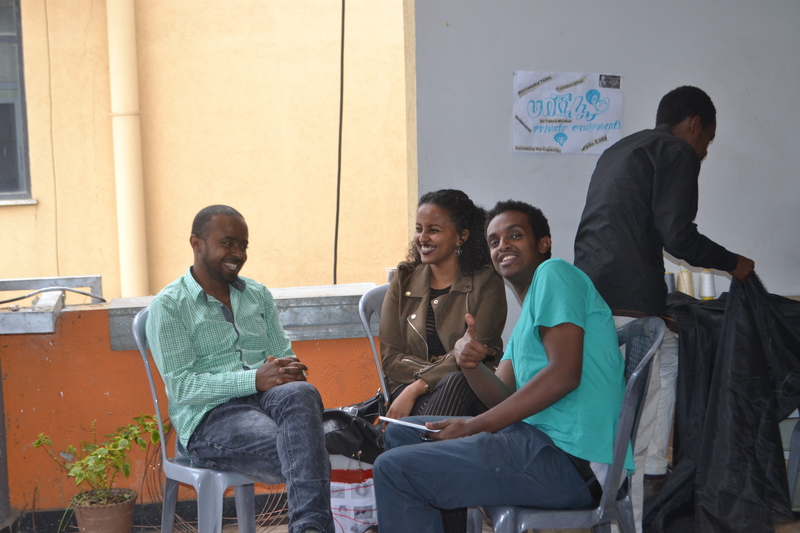 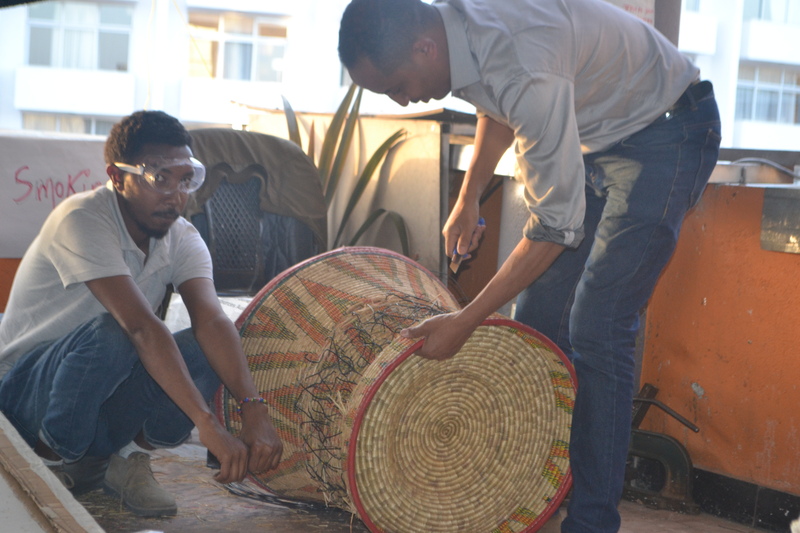 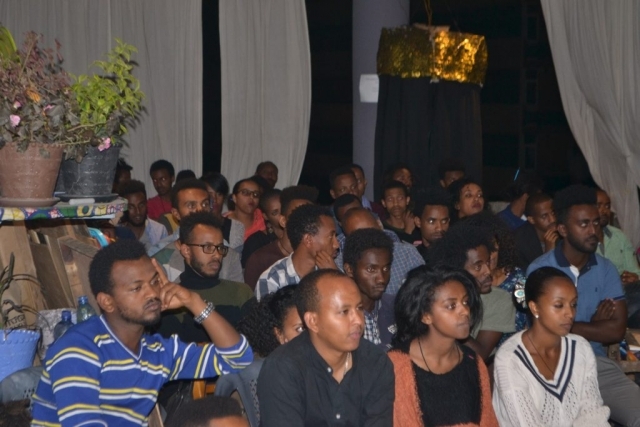 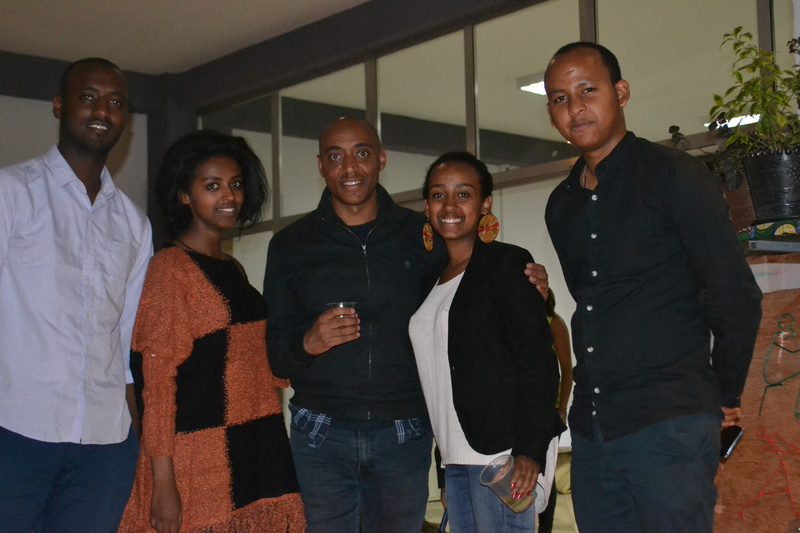 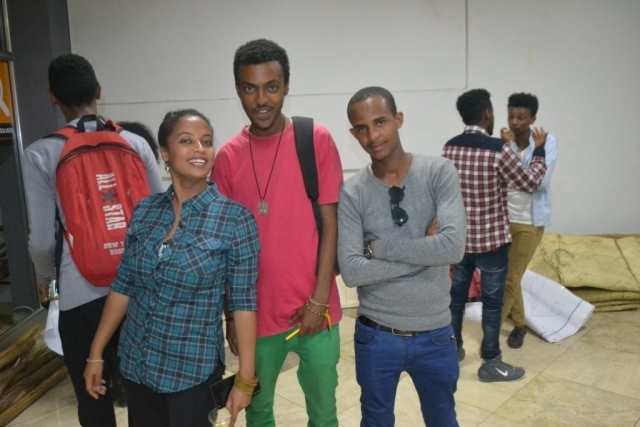 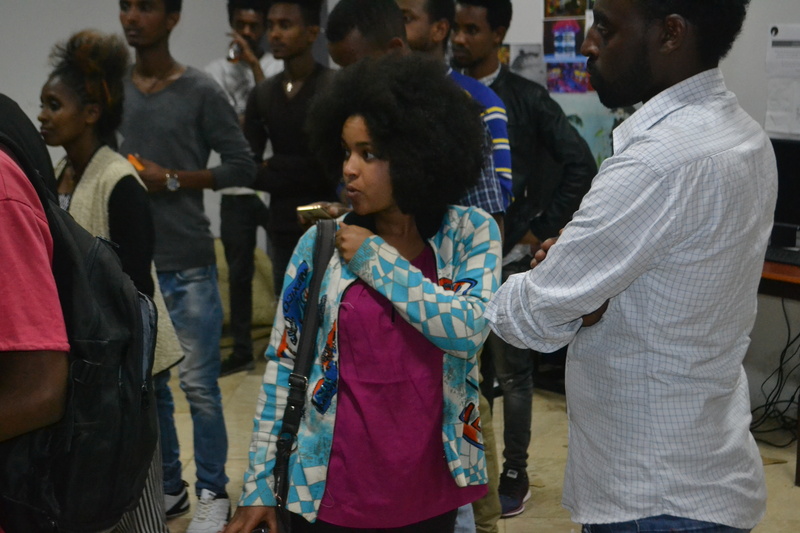 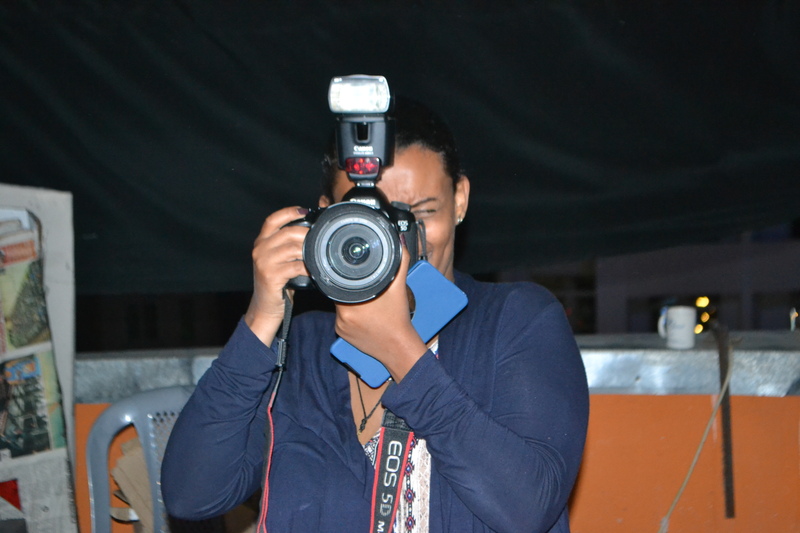 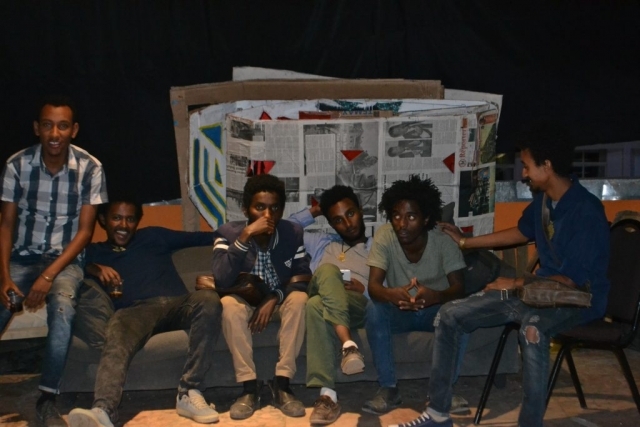 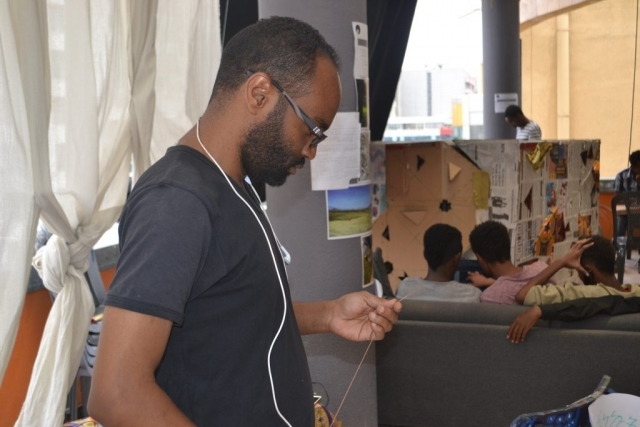 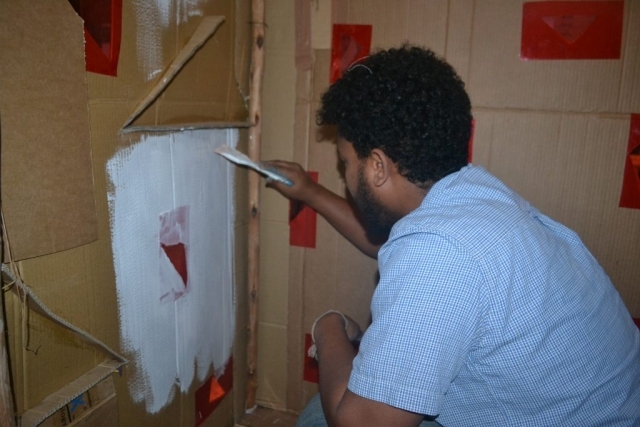 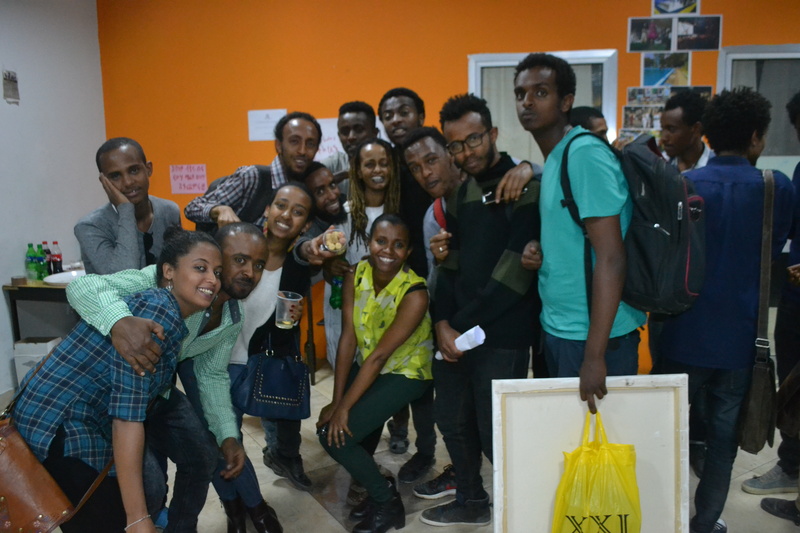 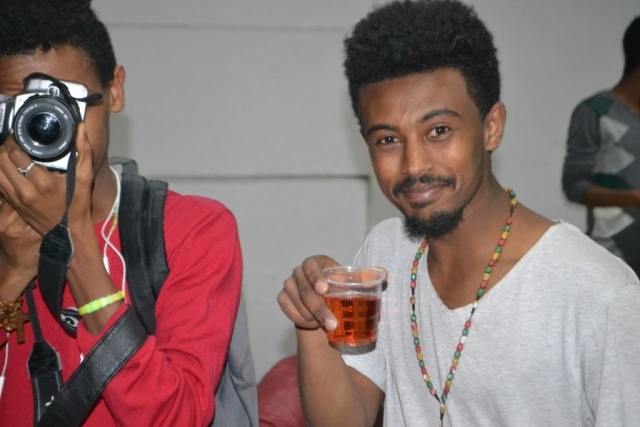 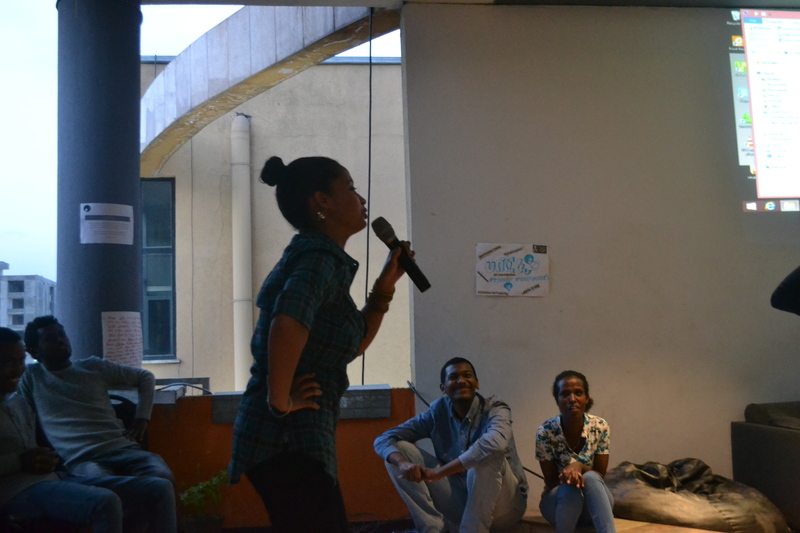 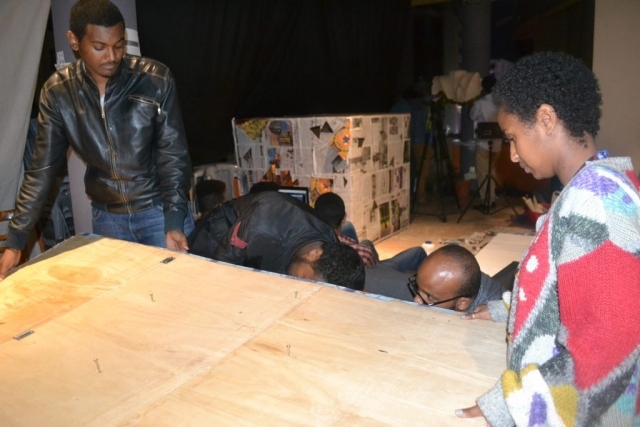 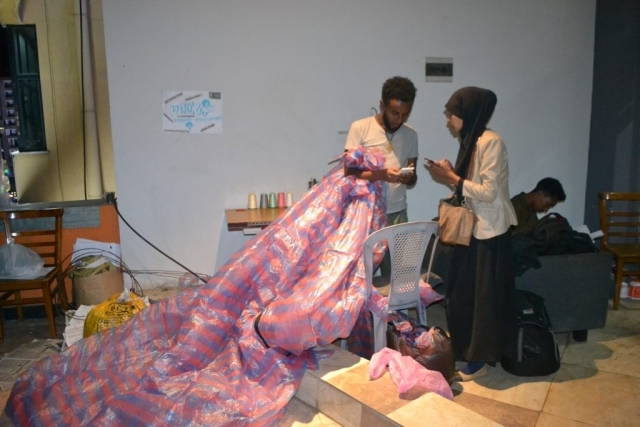 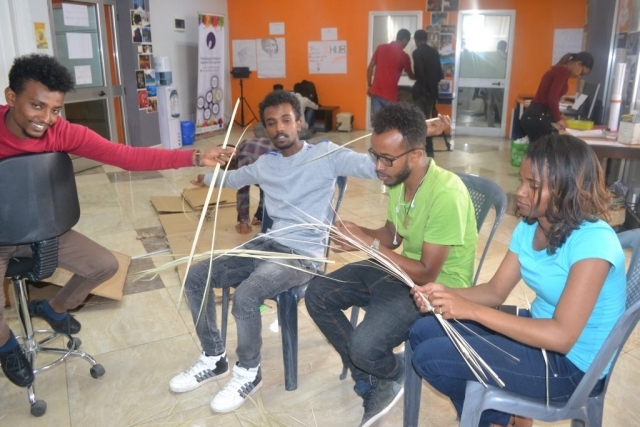 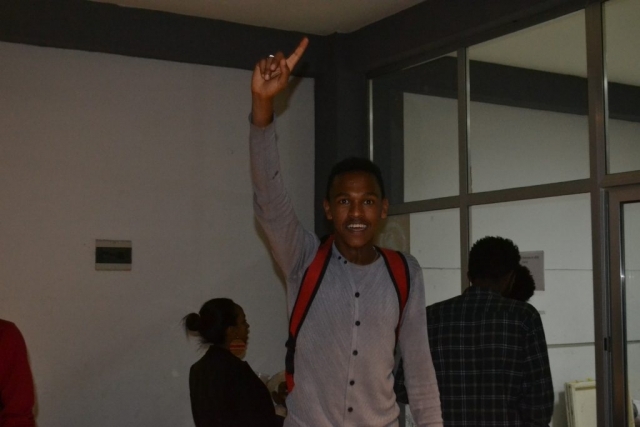 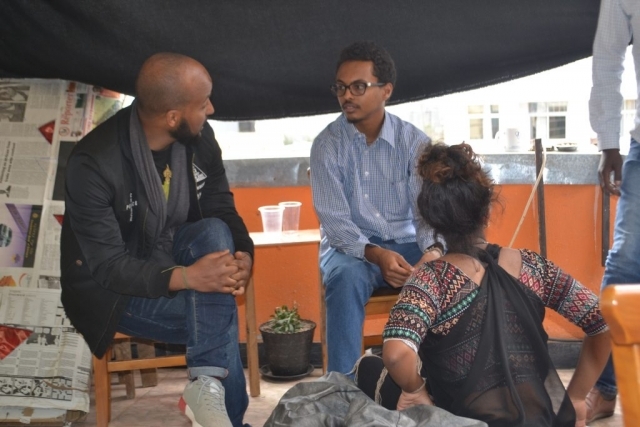 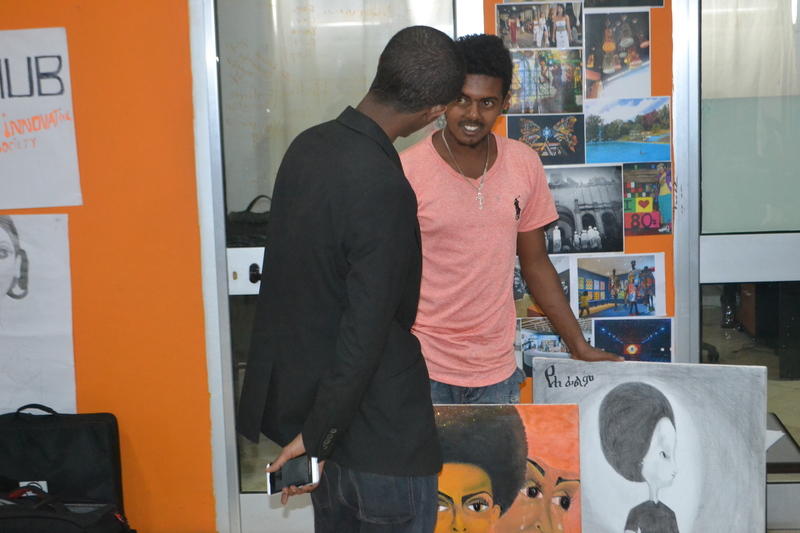 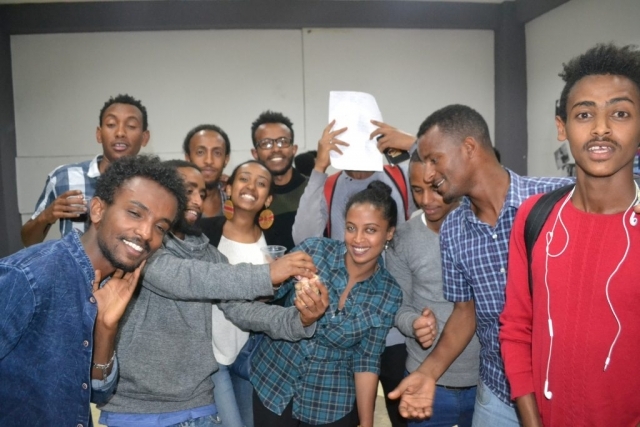 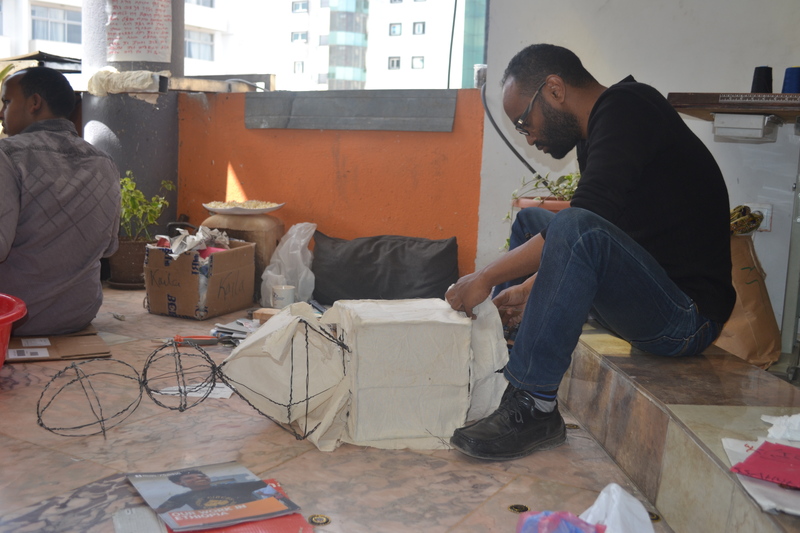 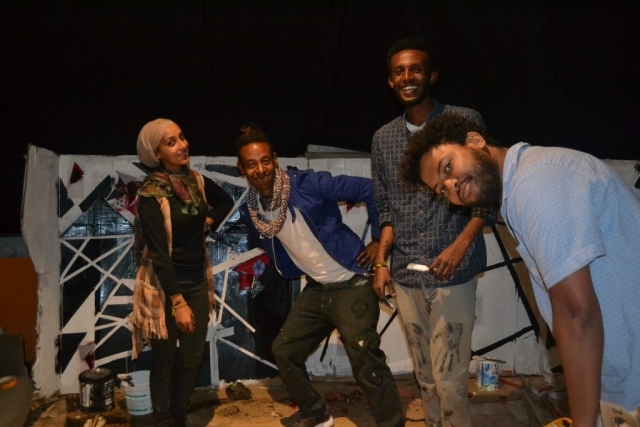 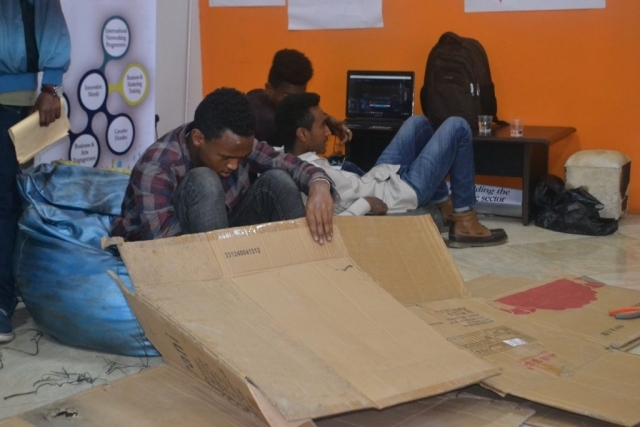 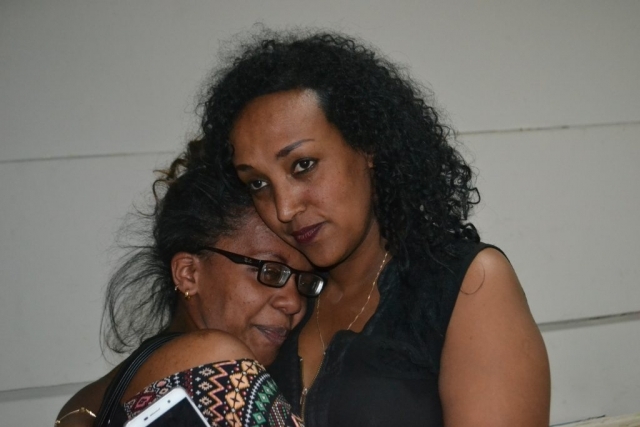 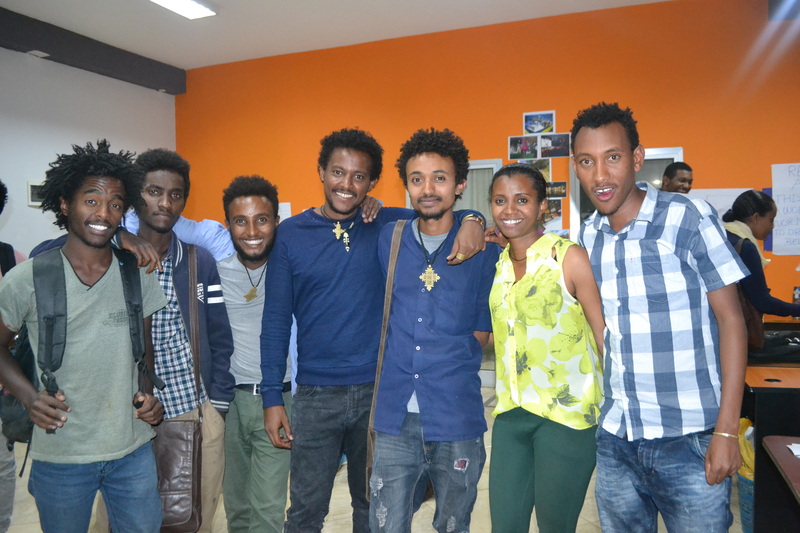 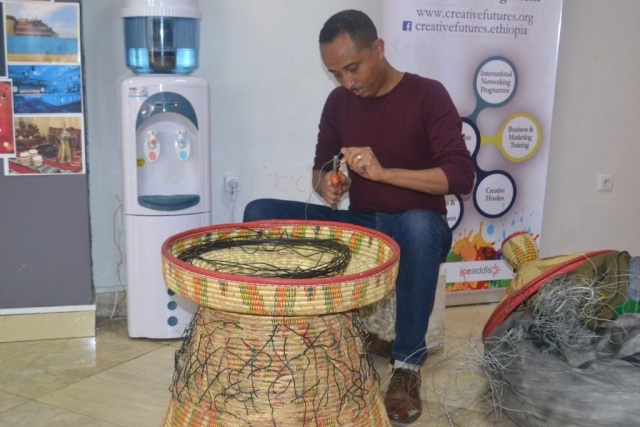 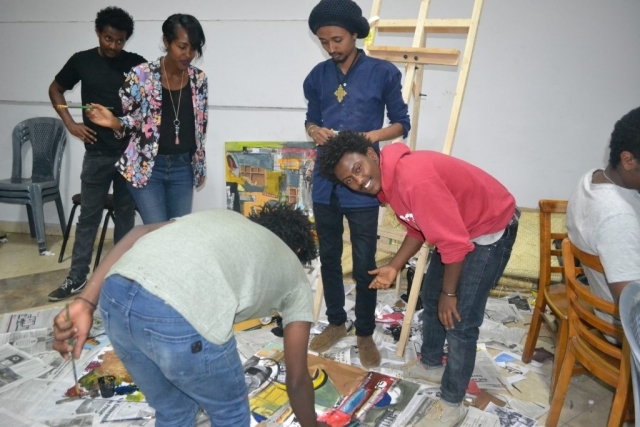 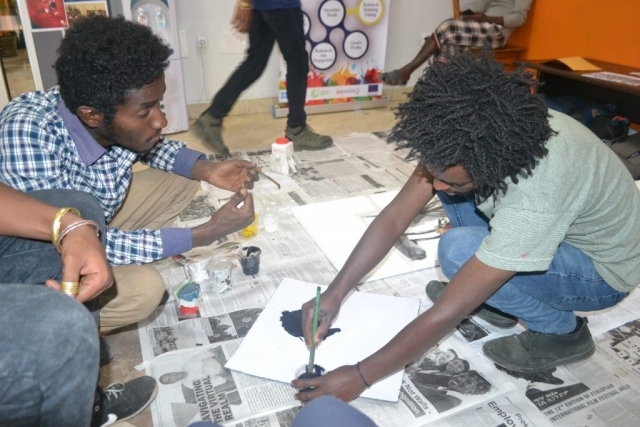 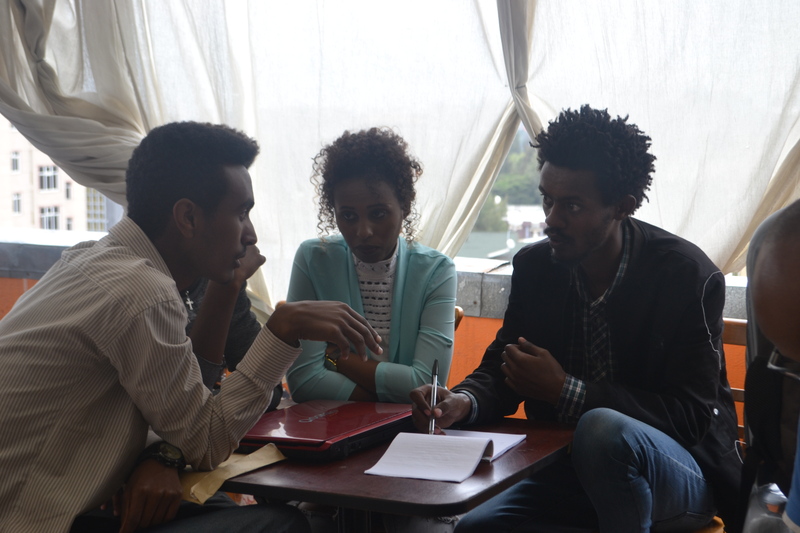 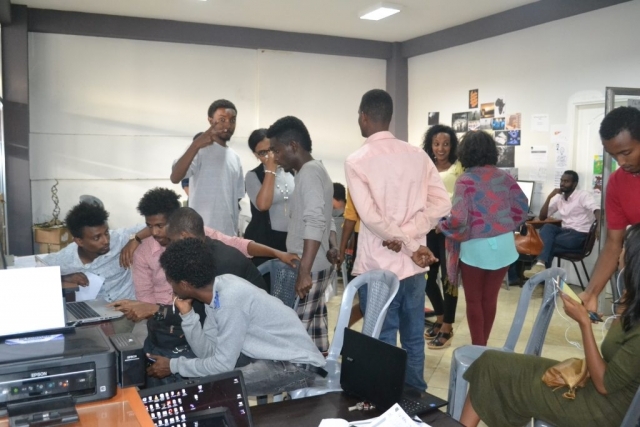 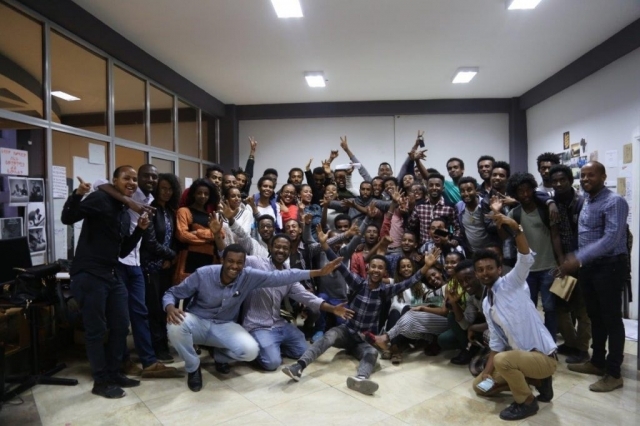 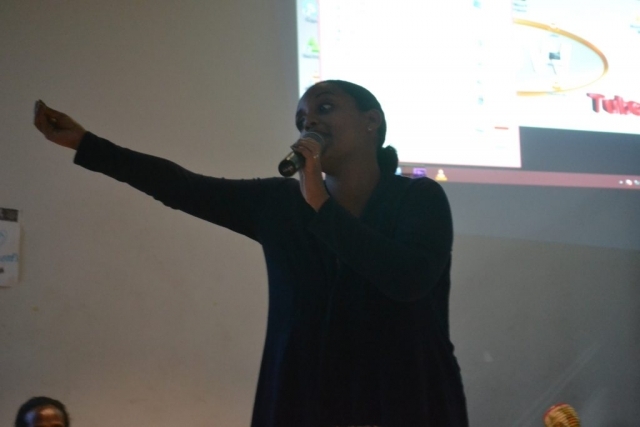 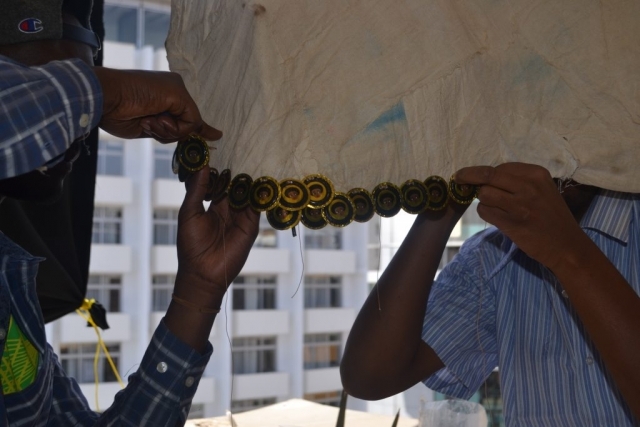 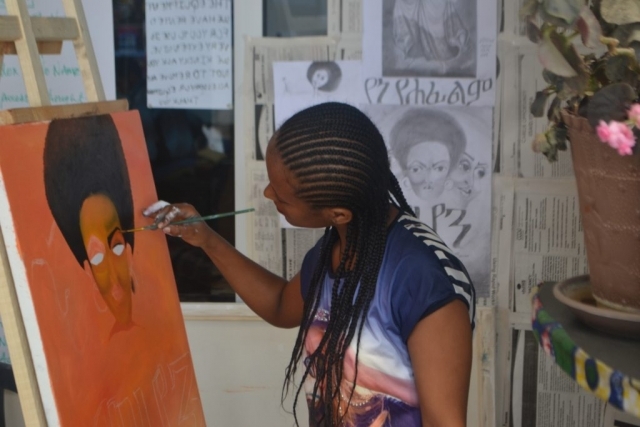 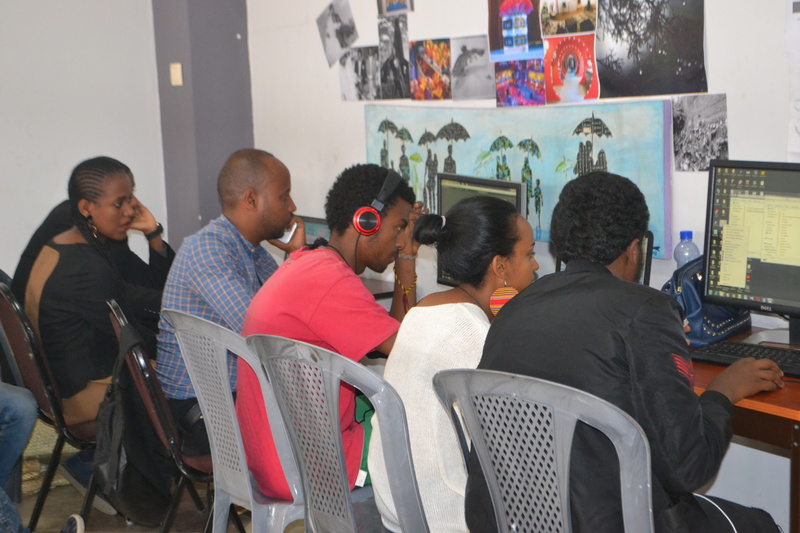 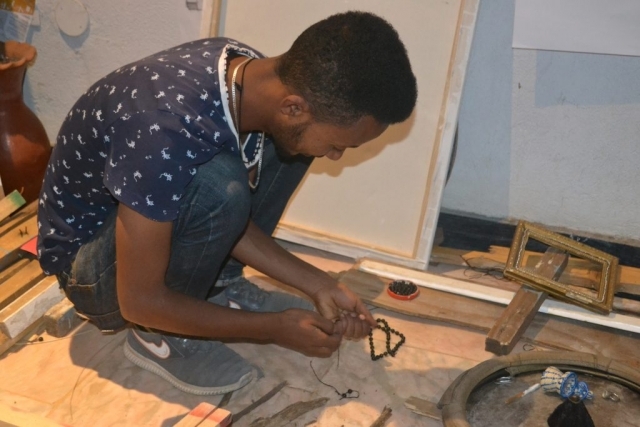 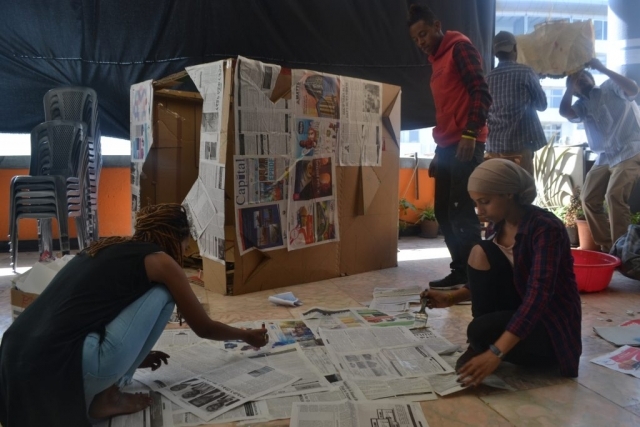 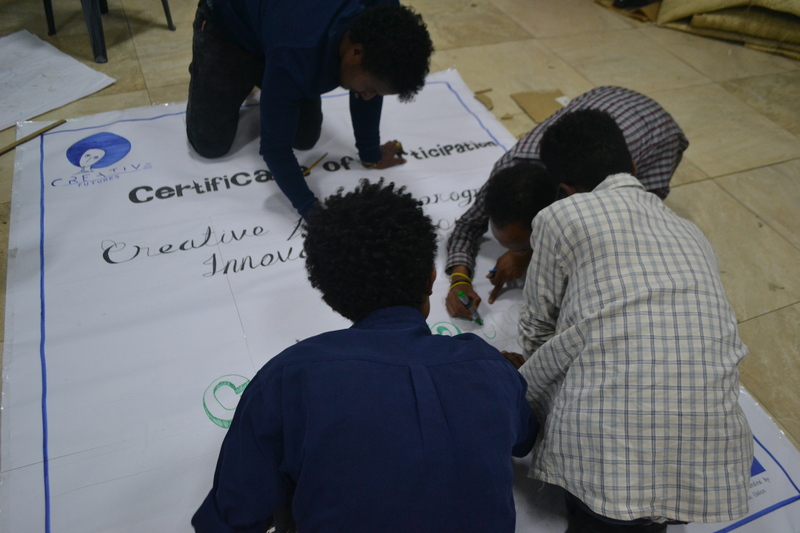 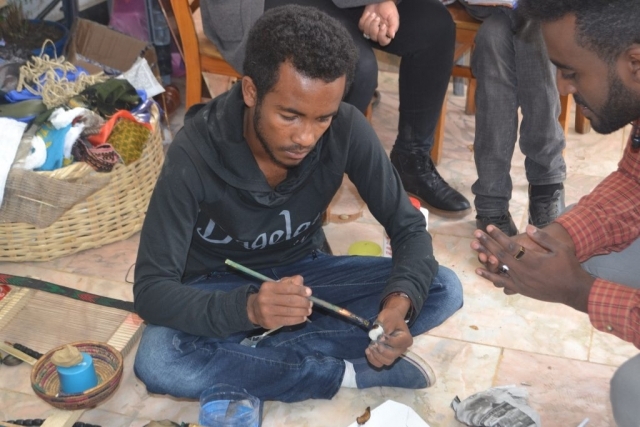 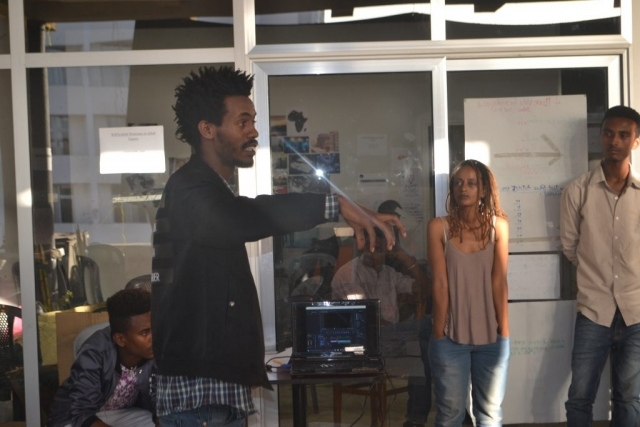 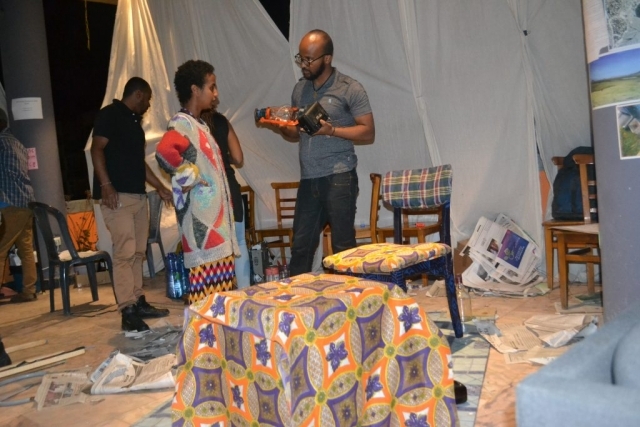 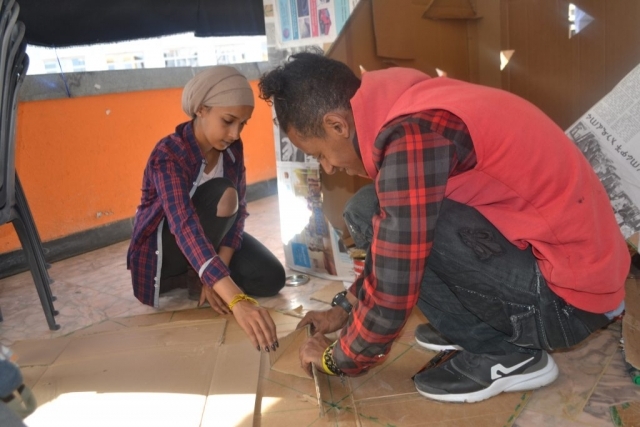 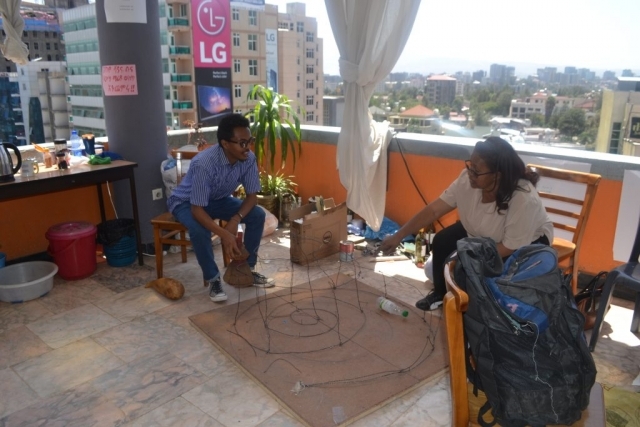 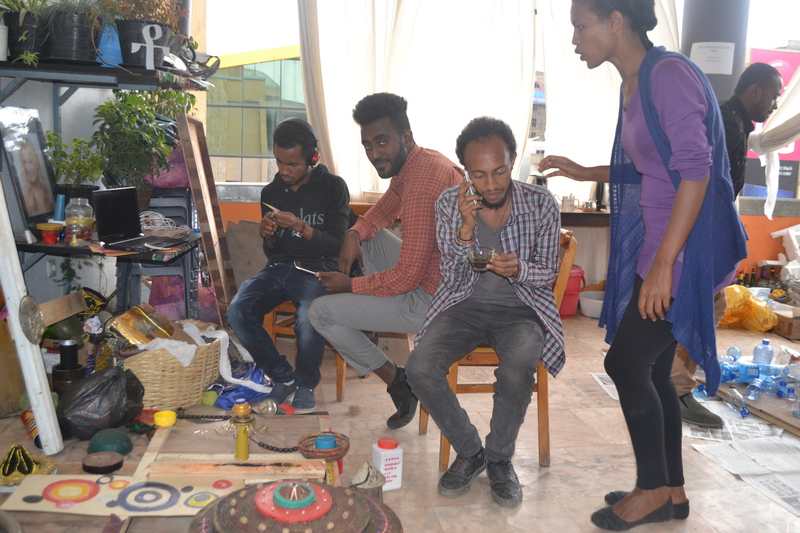 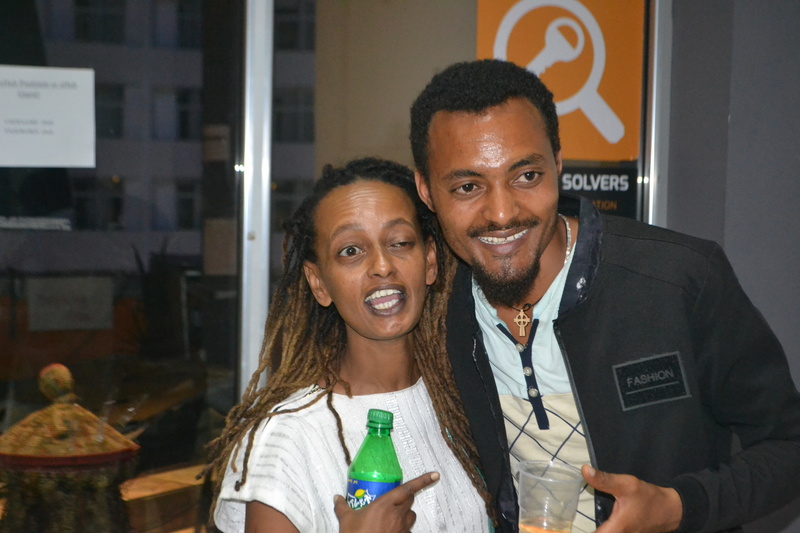 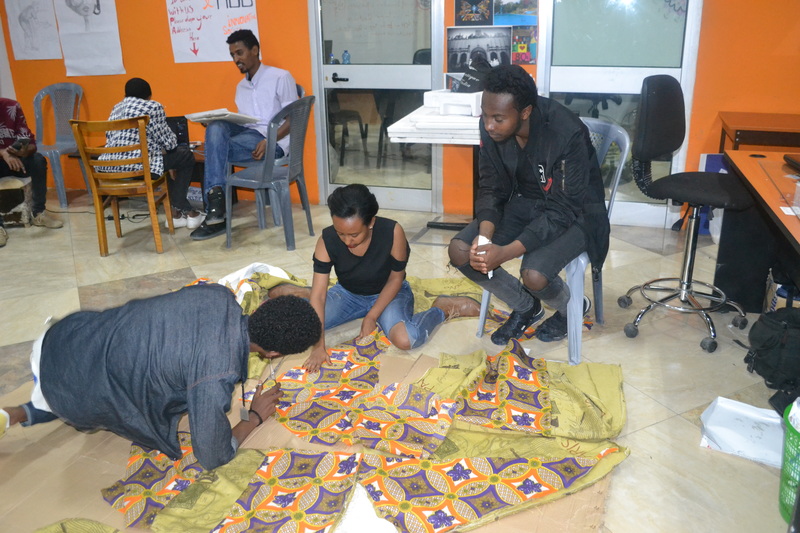 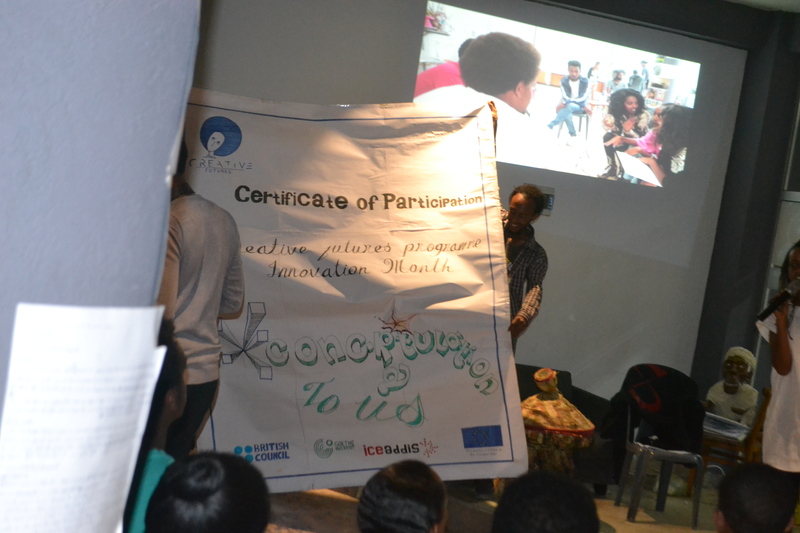 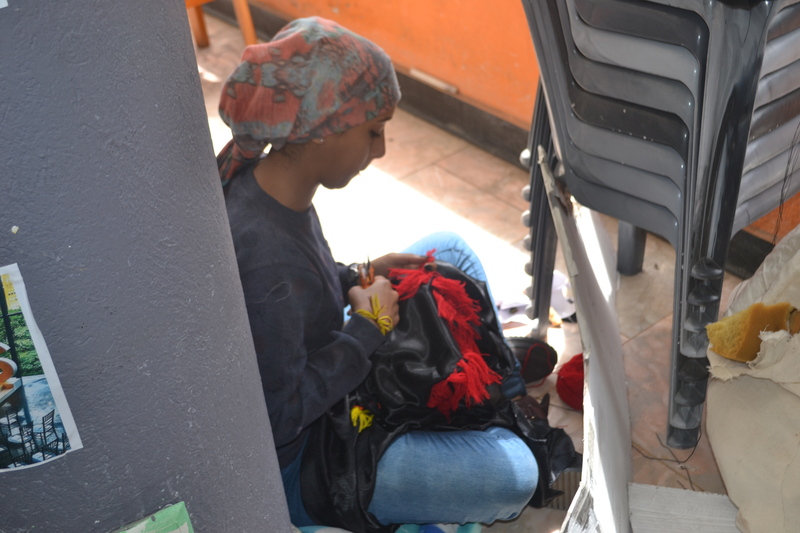 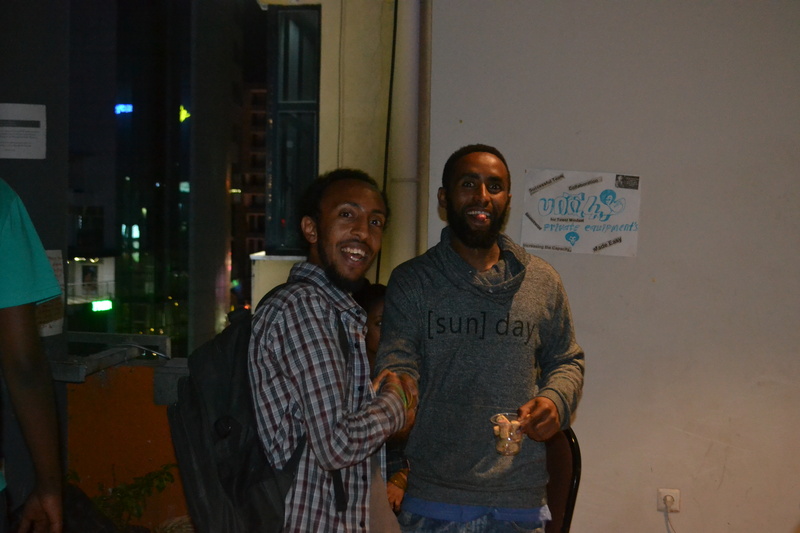 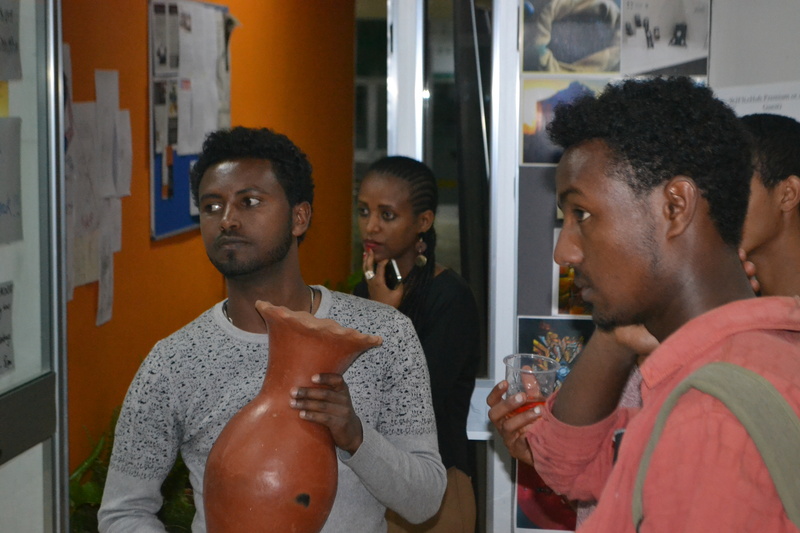 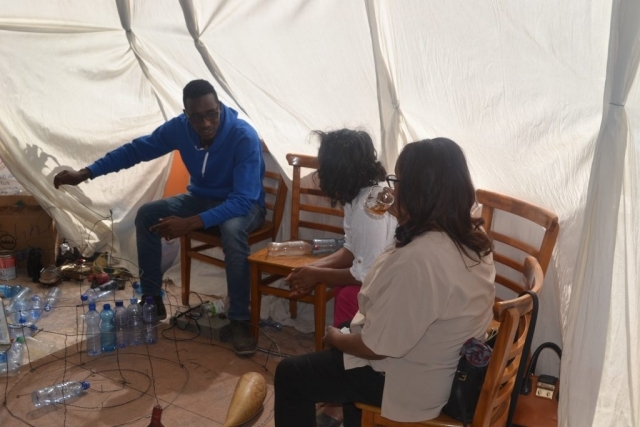 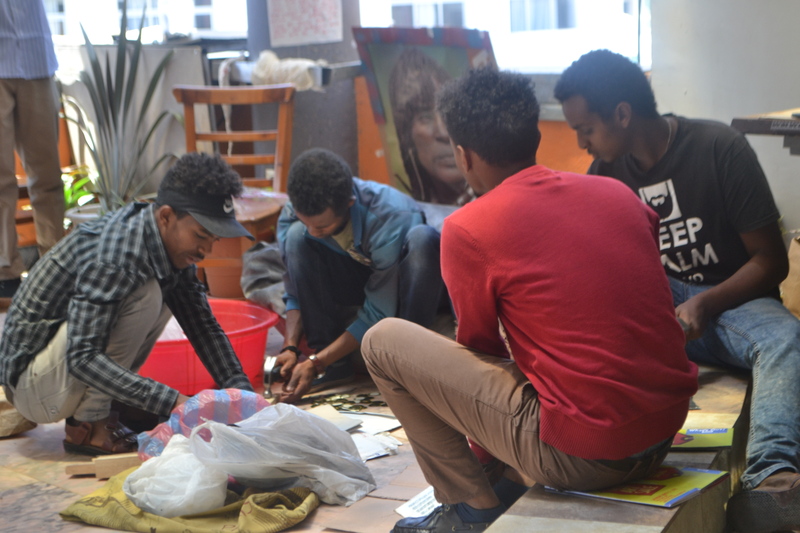 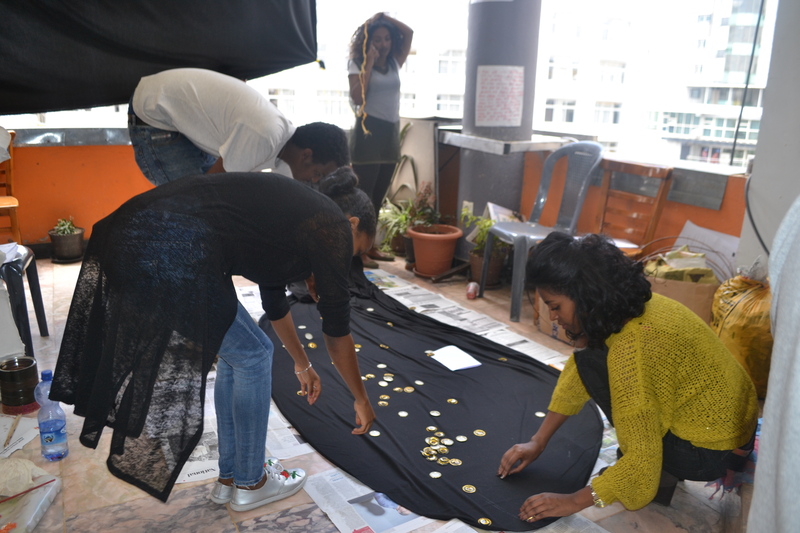 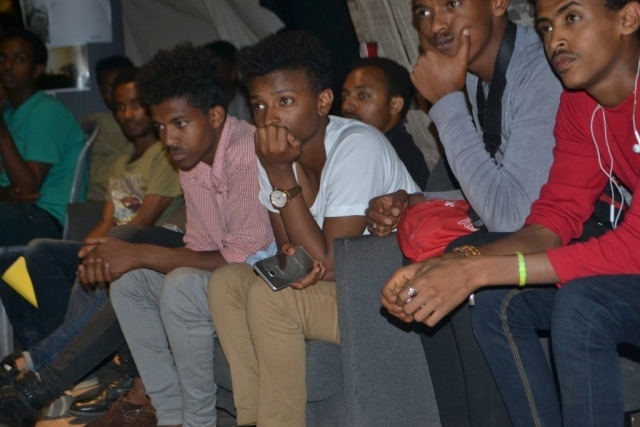 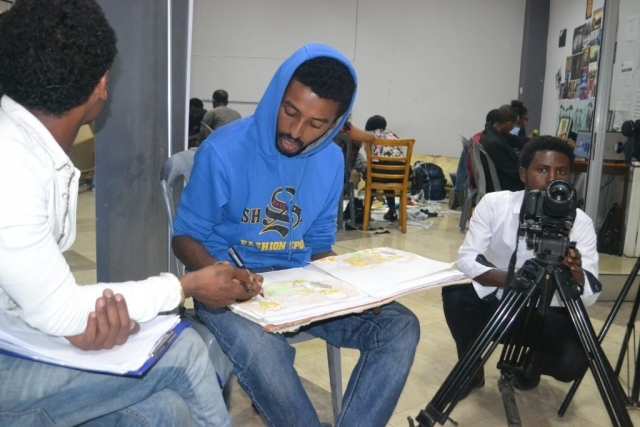 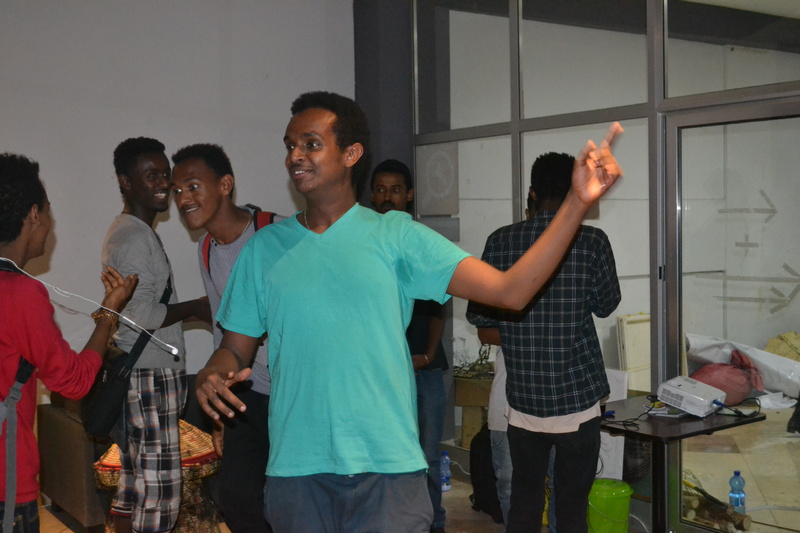 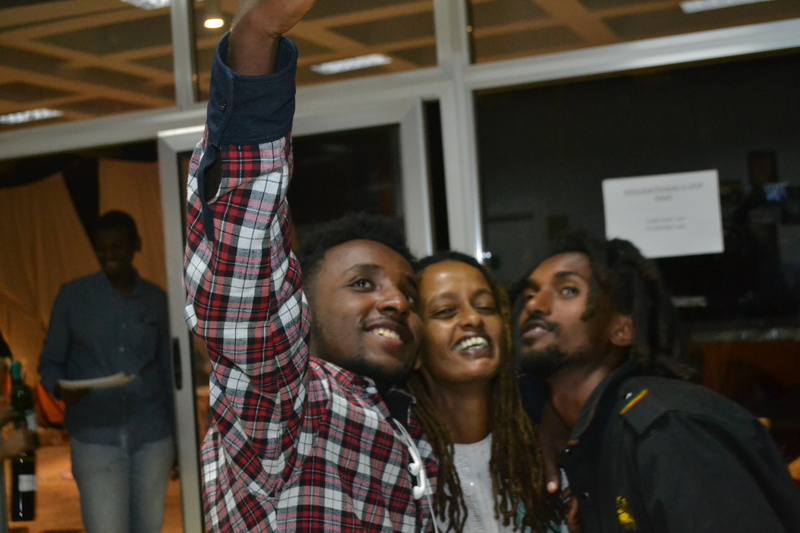 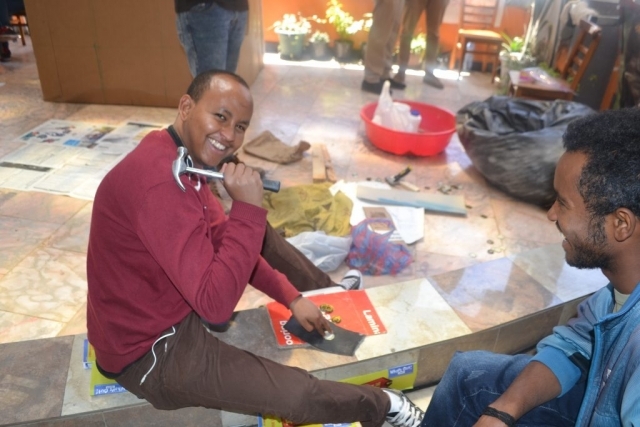 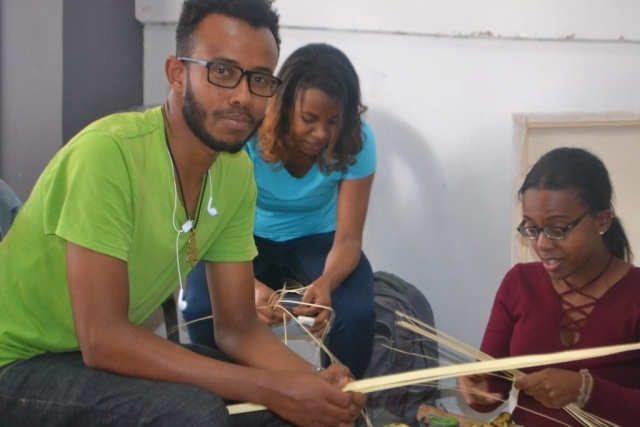 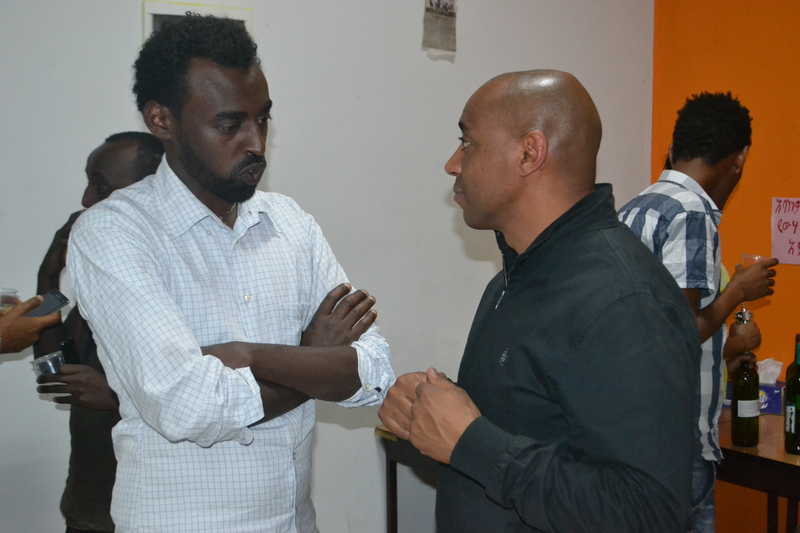 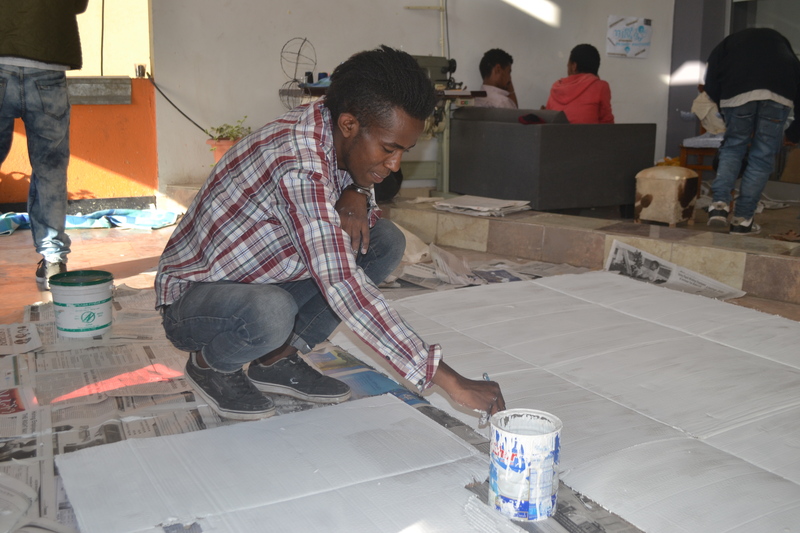 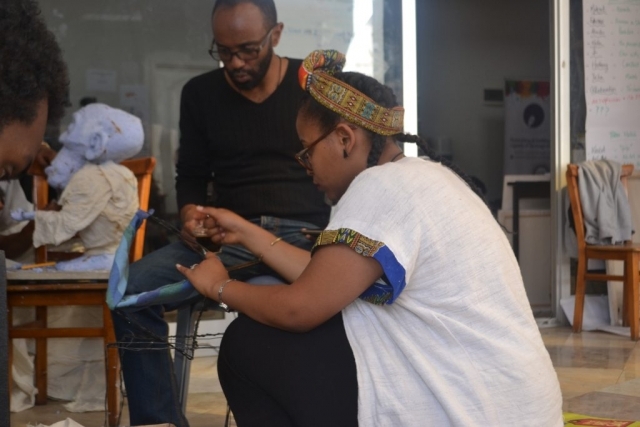 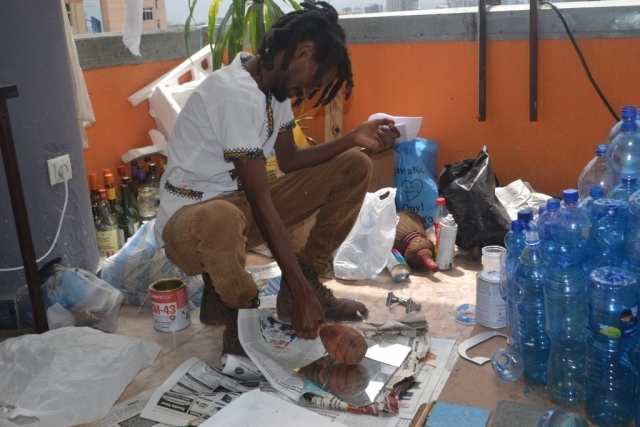 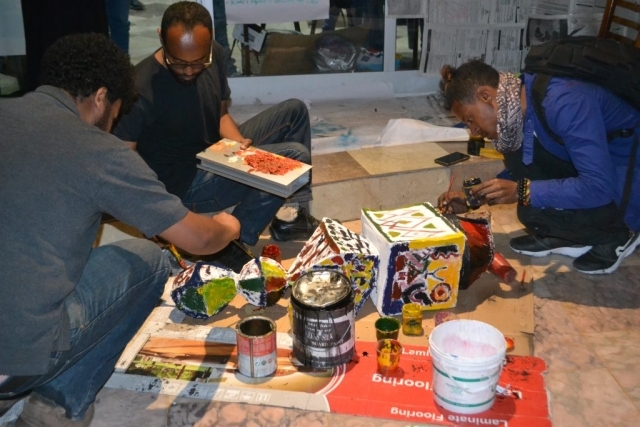 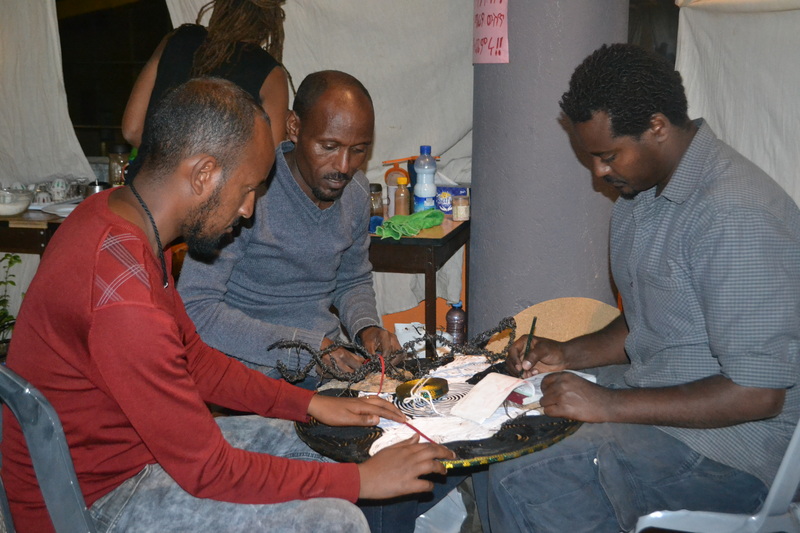 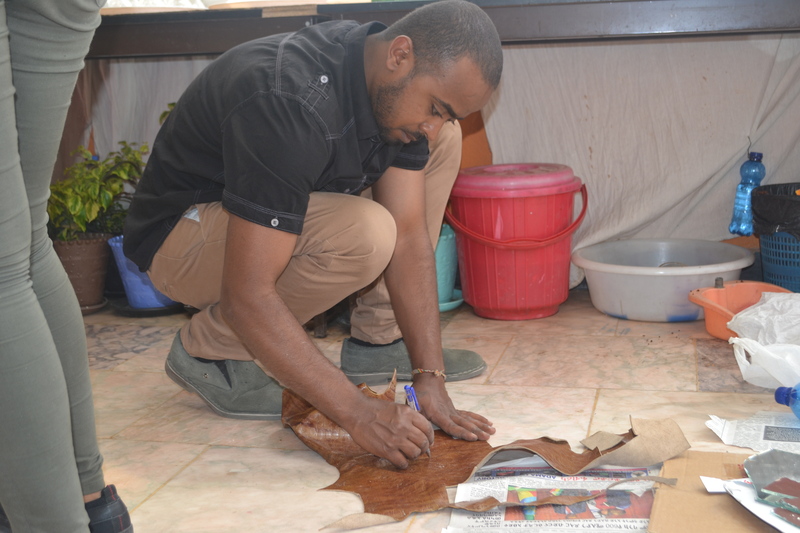 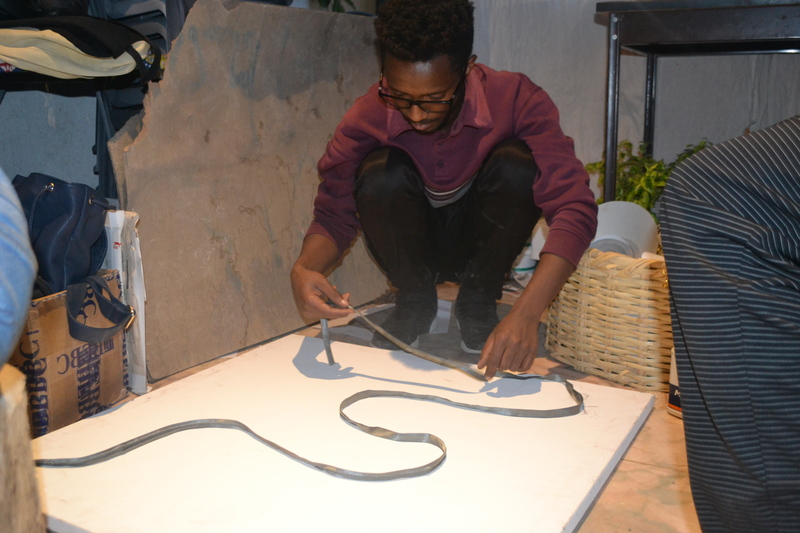 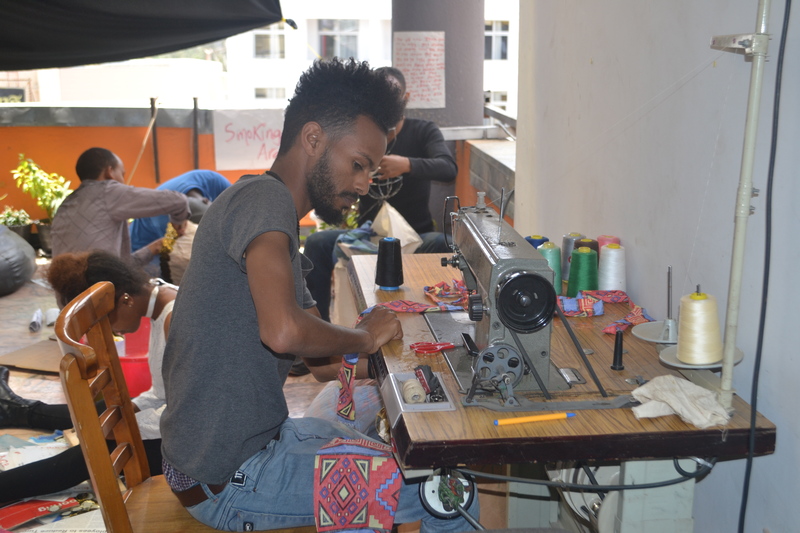 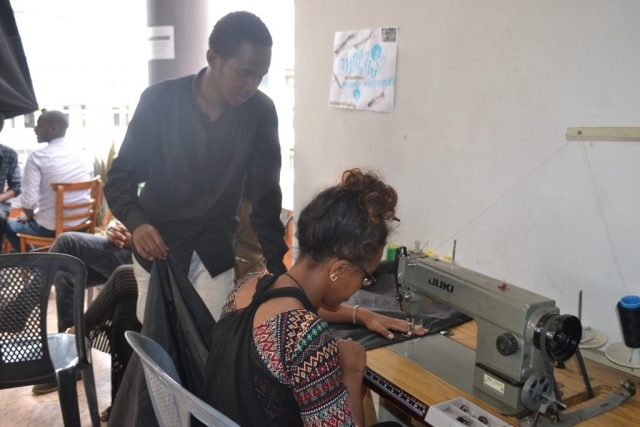 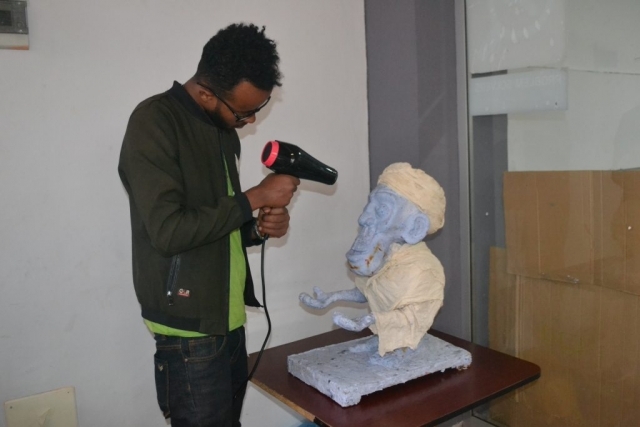 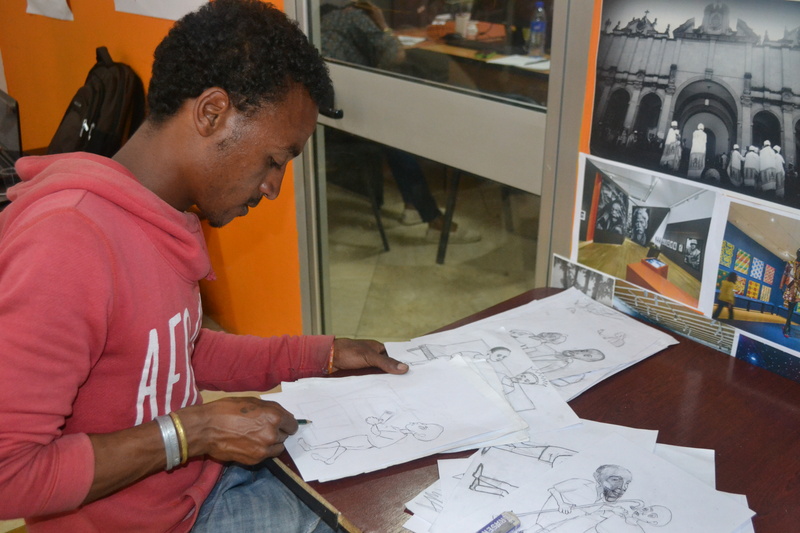 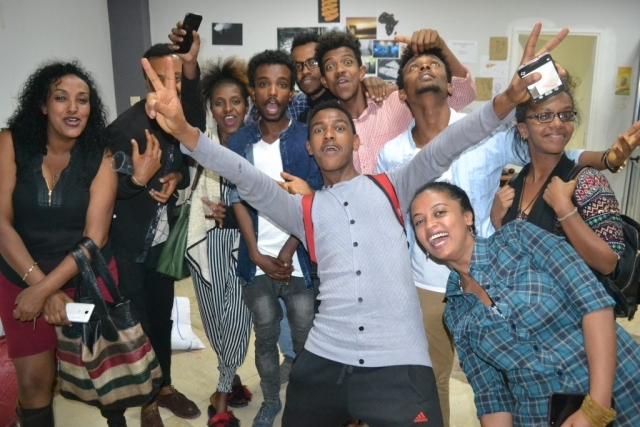 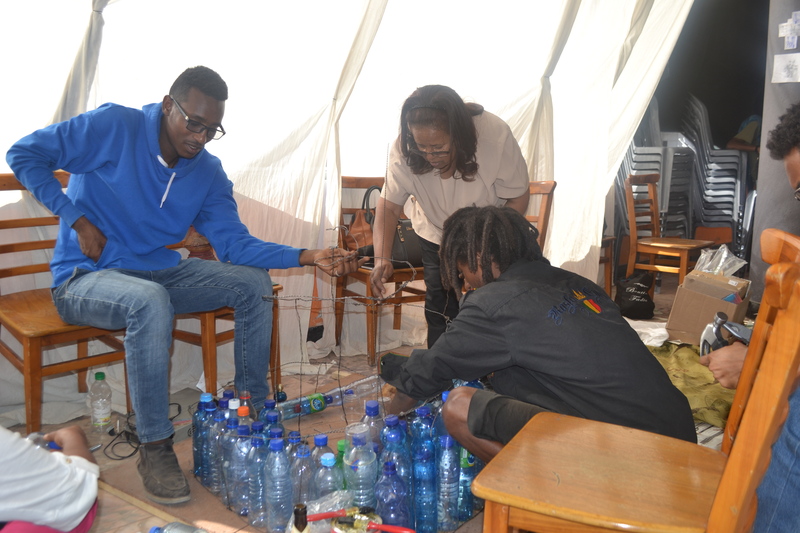 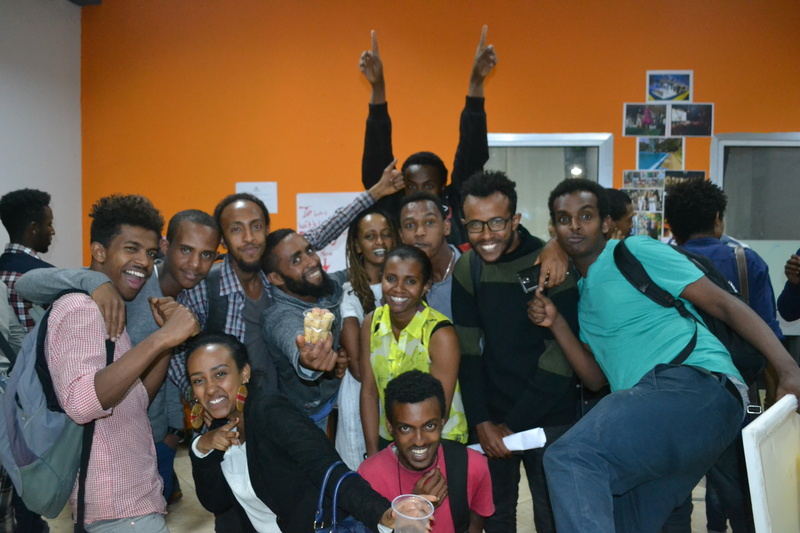 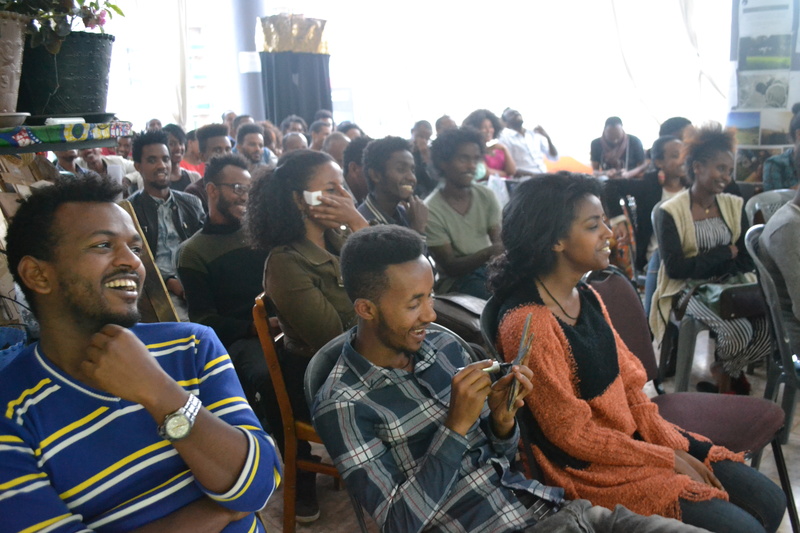 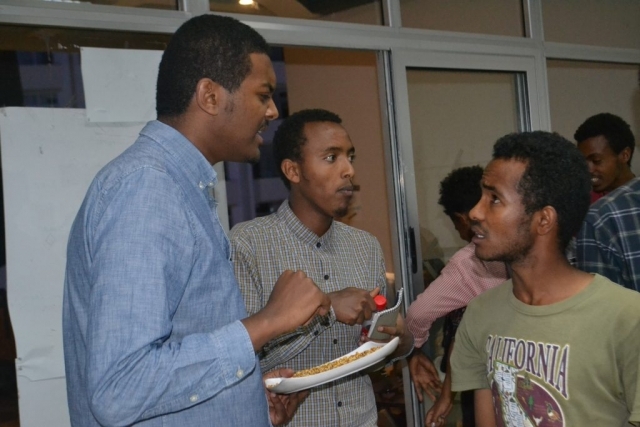 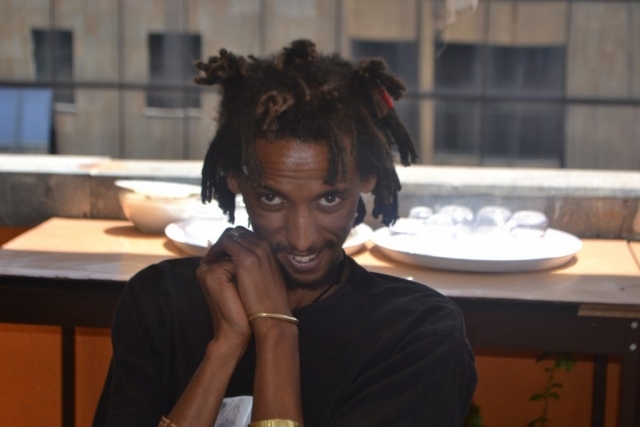 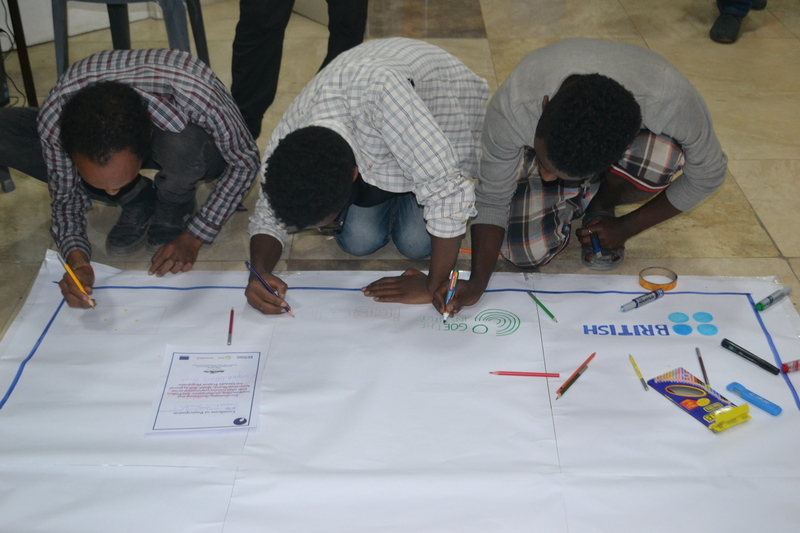 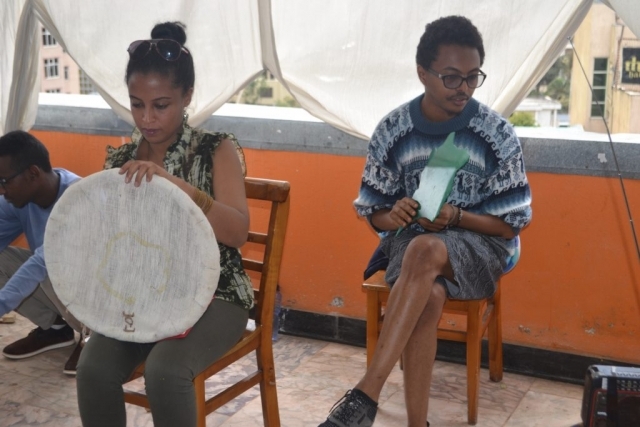 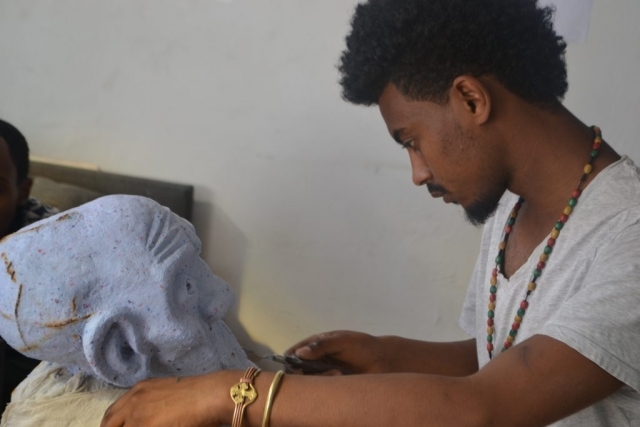 Based out of xHub Addis offices, our space was available to creative practitioners from Tuesdays to Sundays from 11am til 8pm to make sure that those working could also benefit from this project. 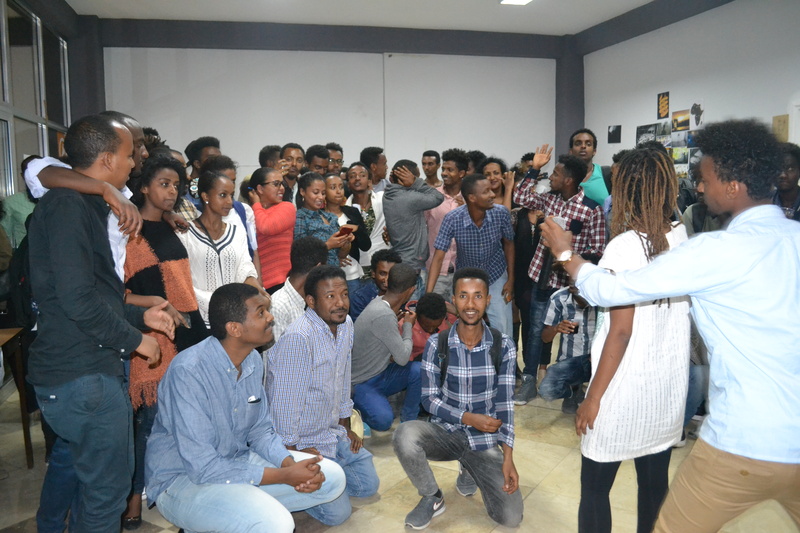 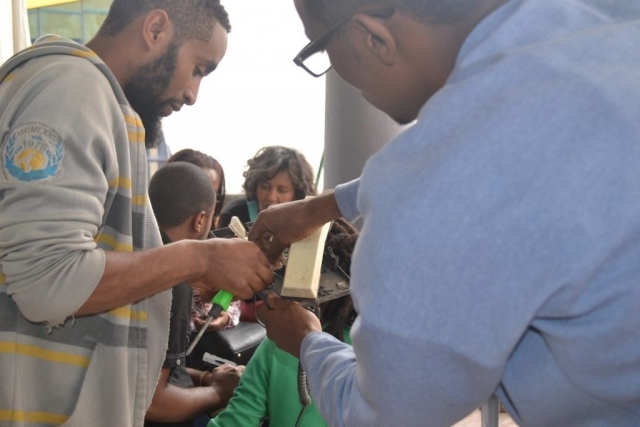 Through a variety of workshops, exercises and invited speakers, these 117 participants were able to practically expand their networks, test and practice their newly acquired skills. 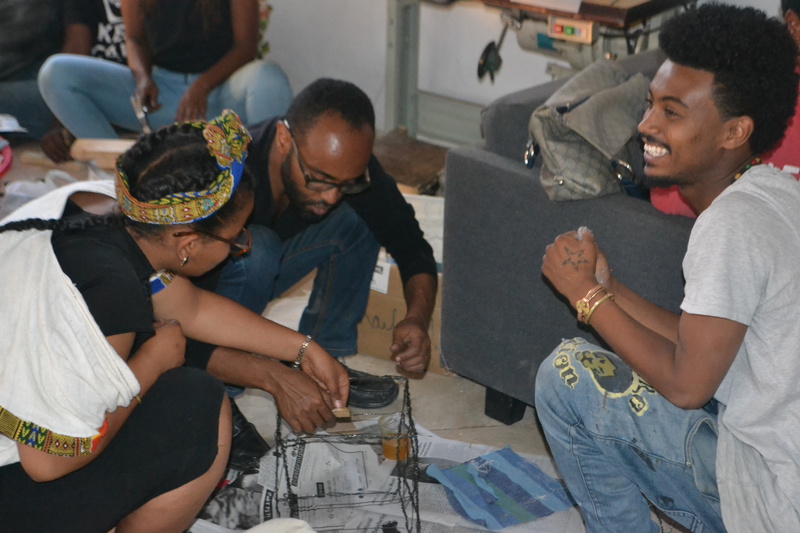 Supported by our facilitation and our space, these returning artists developed collaboration by forming 19 teams of diverse practitioners, talked through, developed and created their collaborative Art projects. All these collaborative Arts works/installation will be showcased to the public in June and we hope that those of you in town will be able to join us then.